We returned to RAU mid-February, escaping the political flurry (which began in earnest a few days after our leaving) in Kampala as Uganda prepared for its Presidential and local elections. It was a blessing, indeed, to be able to be gone for 6 weeks with the peace of mind that RAU was still up and running because of faithful laborers and Onette Zorah at the helm, managing things very nicely in our absence. 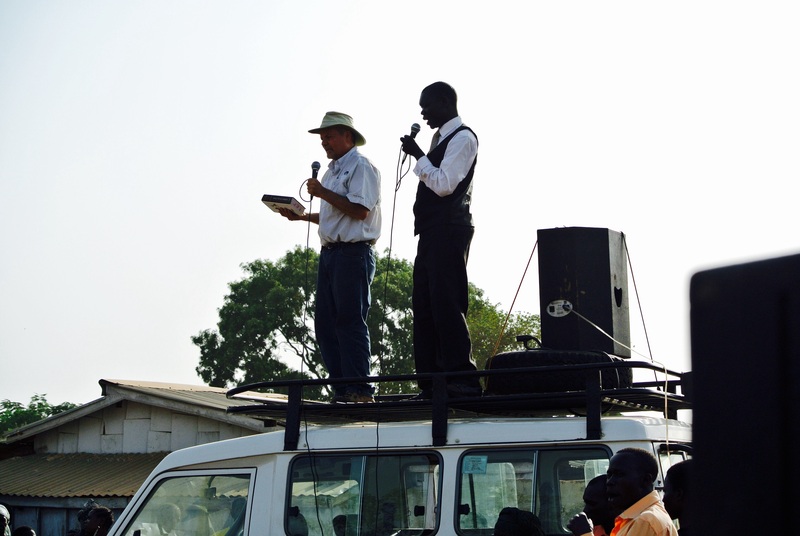 We are blessed to have trustworthy men and women to come alongside us here in the West Nile region of Northwestern Uganda. This last month has been a season of “housekeeping.” Besides the usual clean-up after being gone a long time, there have been day-to-day ministry opportunities as people stop by for various needs. Right now we have two major projects going on at RAU. First, we have our builders here, “raising the roof” on the tukalus that the pastors and visitors use during the retreats. 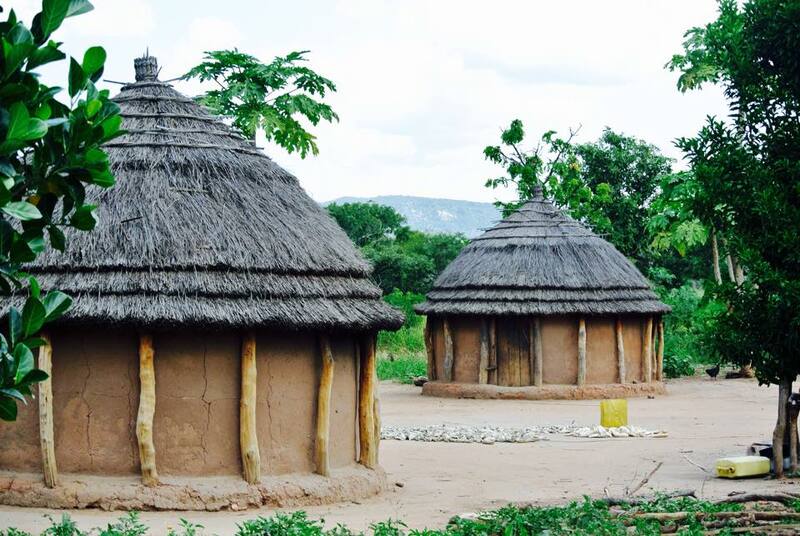 Not only will the roofs be raised up about 1.5 meters, but the grass thatching will be replaced with metal. 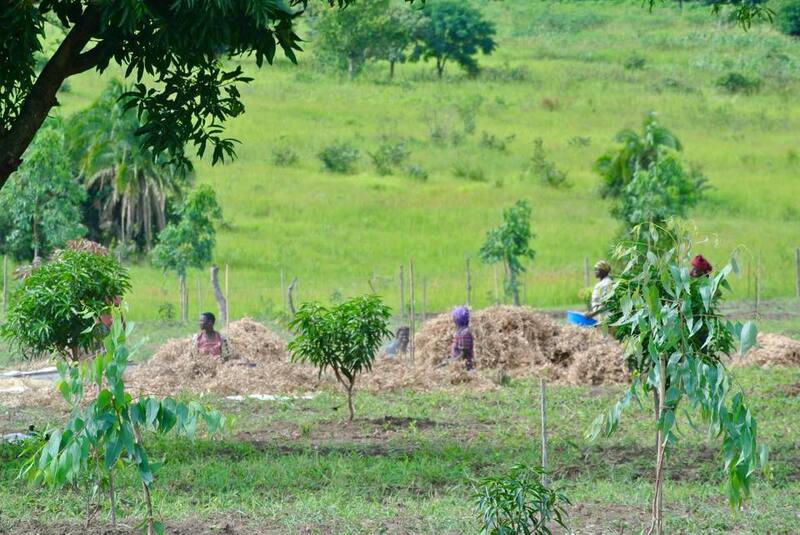 This will extend the life of the roofs and prevent some of the leakage that is typical during rainy season (and the dust, chaff and insects) with the grass roofs. The higher ceilings with enlarge windows will also make them cooler. The builders will also make another pit latrine and cover over the previous one. 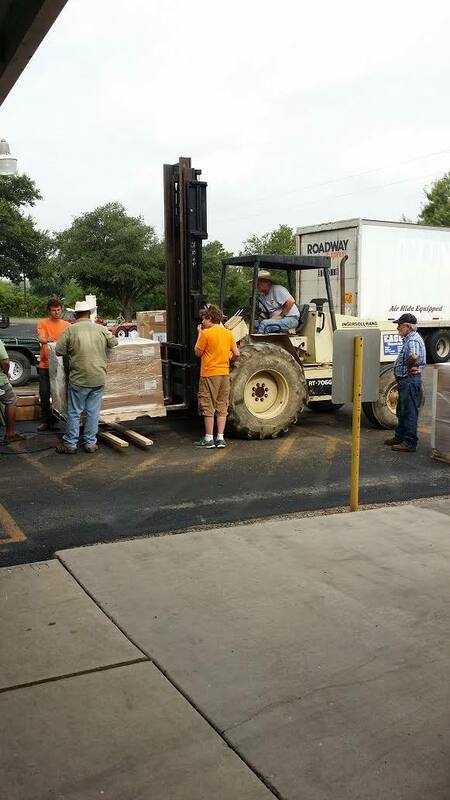 Raising the walls, adding windows , and metal roof for guests during pastors retreats. Also quarters for future students of the Bible School. 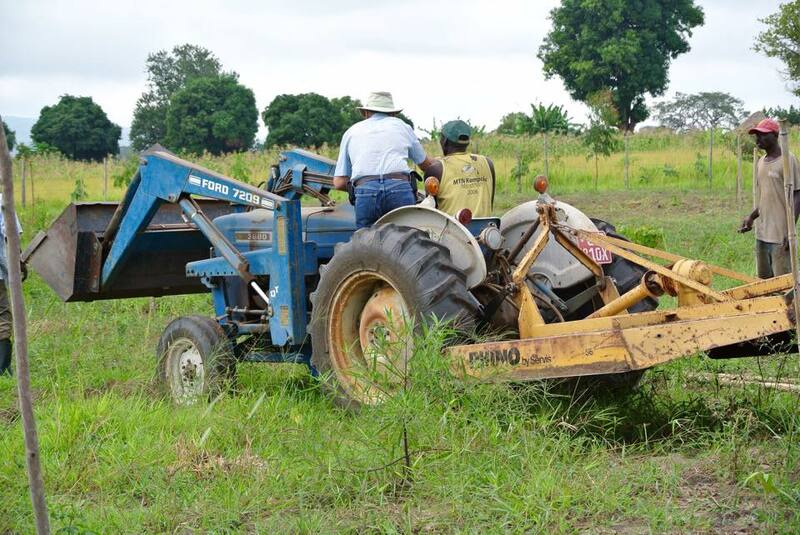 Second, we hired a large tractor from Moyo to come and plow up the fields in anticipation of rainy season when planting of crops can begin. Jacob is also outside now harrowing the ground after the plowing was done by the tractor. The plan is to plant soybeans, upland rice and vegetables in this first season. 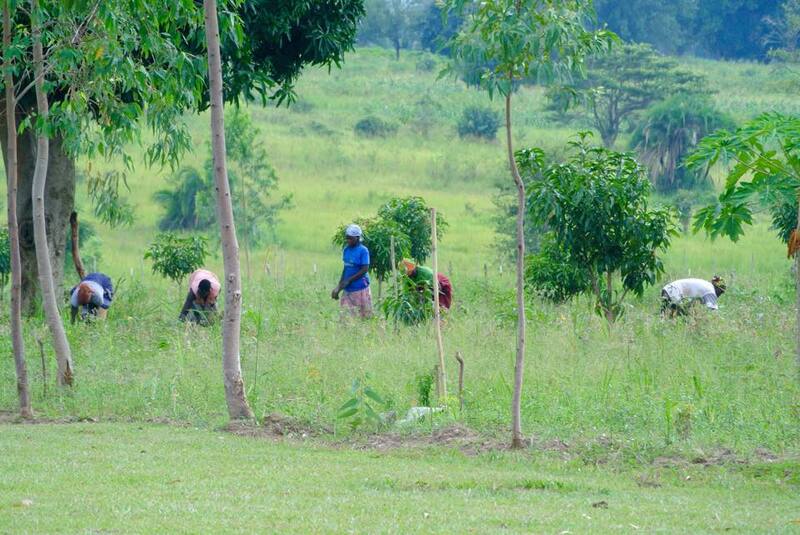 Another 200 grafted Mangoes will be added to the 500 that are doing well on the RAU land. A couple hundred matoke bananas will also be added to 200 in the ground. 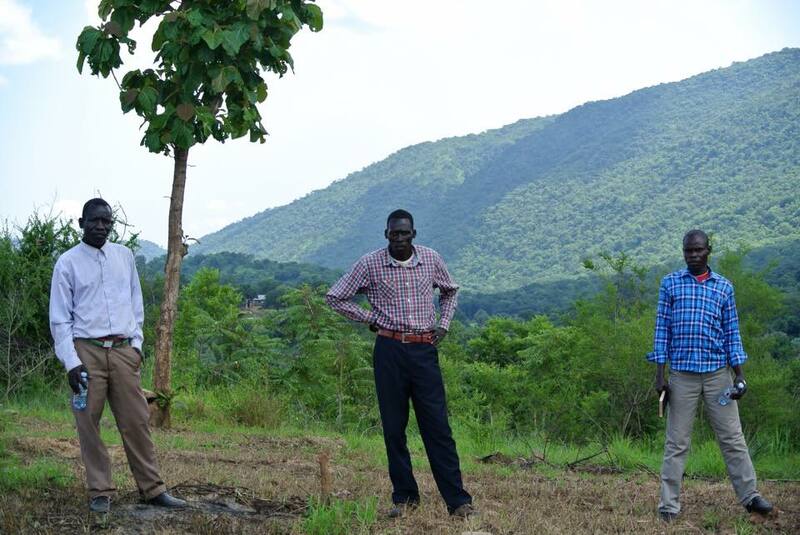 We are working hard so that RAU can raise ministry funds from the land as well as be a model for the community on how the fertile land of the area can be used to empower families, especially those in the church. 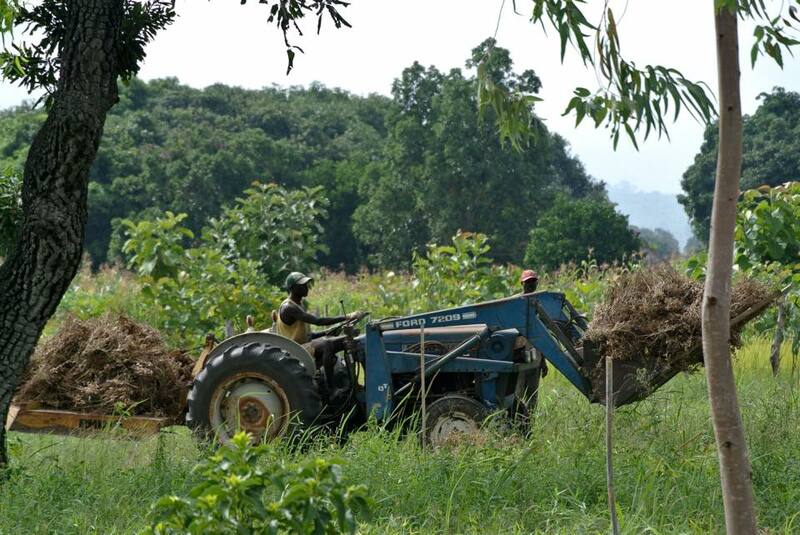 At the end of January, we completed the Agricultural Extension Pilot Program funded in partnership with M.A.R.S. (Doug Neel). It was such a tremendous success in “scratching where it itches” that we are compelled to continue the program and expand it in an exciting new way – through a weekly, two-hour, call-in radio show at TBS radio station in Moyo town. All of the communities within range of the station will have the expertise of Emma at their disposal. 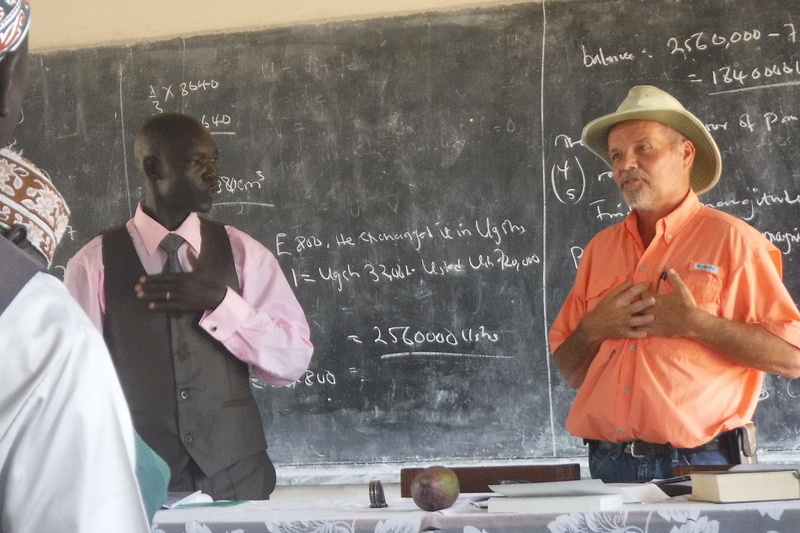 Not only will he teach on specific subjects relating to farming and livestock, but listeners may call in with their specific questions. This will happen every Friday evening from 8:30-10:30 pm. It is also provides winsome way of sharing the love of Jesus. The Kick-off program was last night and, from what we can tell, it was very happily received with much positive feedback. 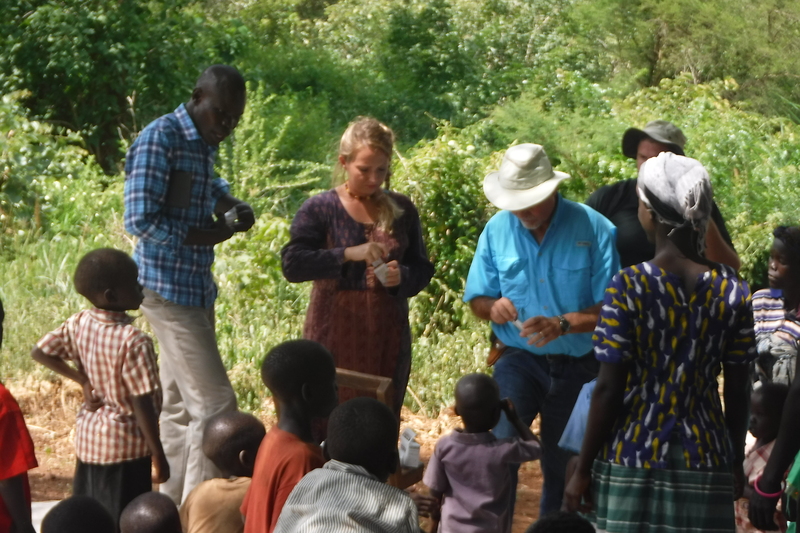 Emma teaching about basic agricultural principles in a local village. 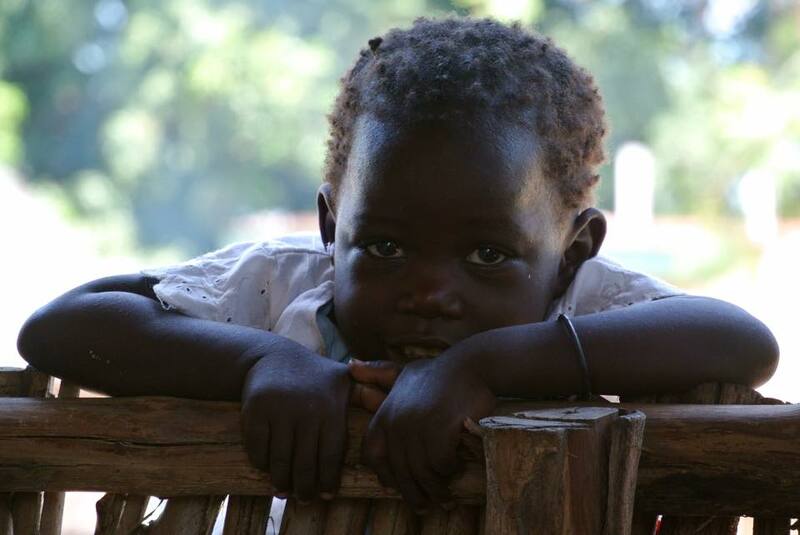 The two hour agricultural radio program with Emma will increase RAU’s reach to many more villages. 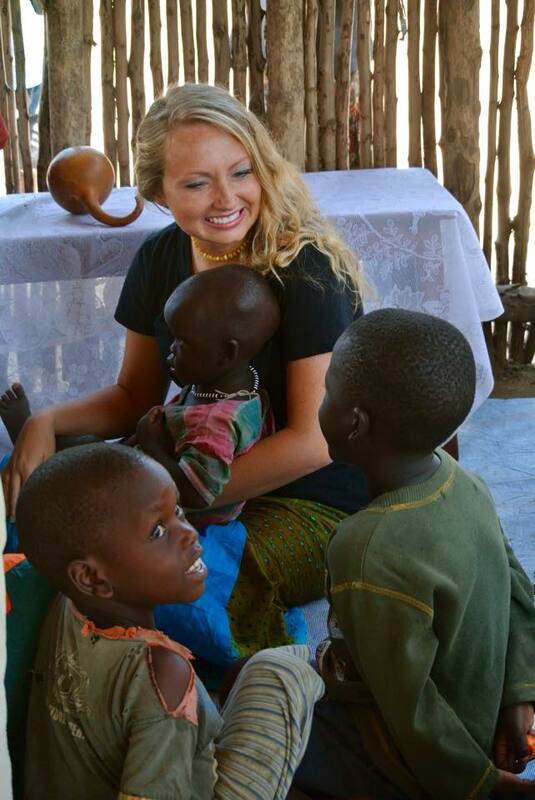 Emma teaching about basic agricultural principles in a local village. 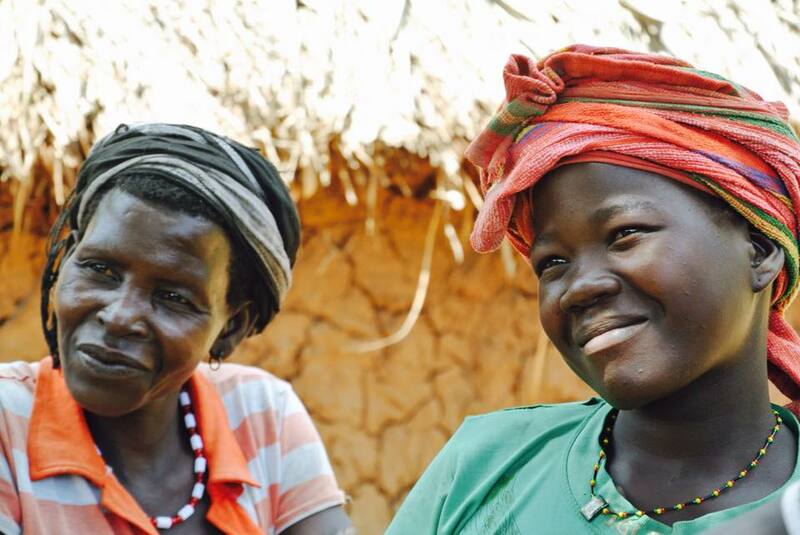 The two-hour agricultural radio program with Emma will increase RAU’s reach to many more villages. 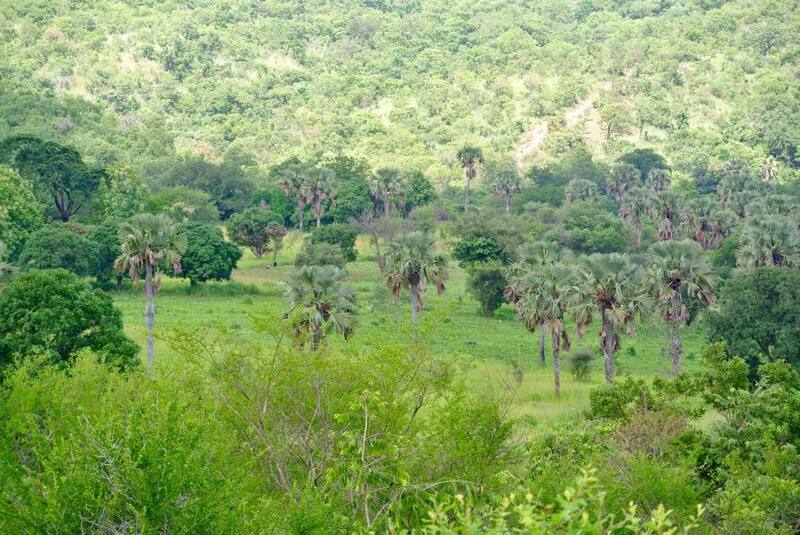 In addition to the radio show, RAU will continue to be a demonstration plot for various agricultural projects which will be useful in teaching the leaders who come for retreats as well as interested parties within the local community. 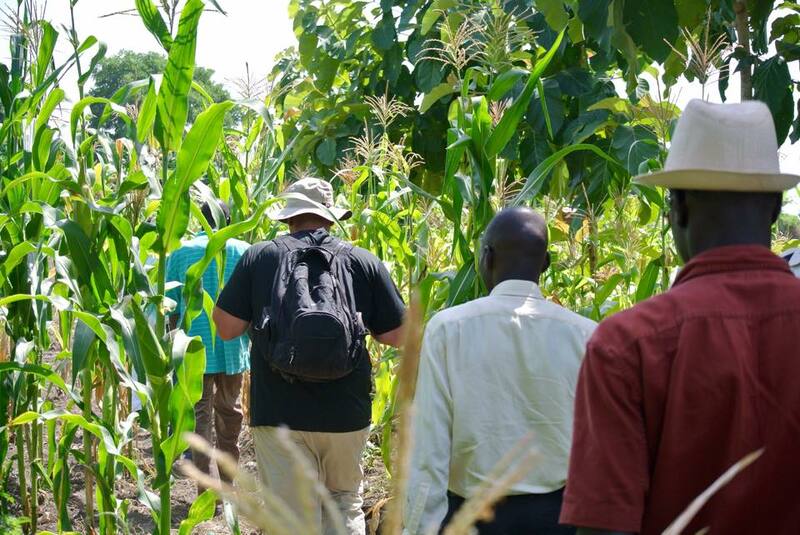 We will also continue to dedicate one day of our four-day church leadership retreats to agricultural training with the goal of 2 Timothy 2:2 being walked out in both the biblical and agricultural training. There is more in the agriculture department that we would like to do which currently exceeds the budget we have for it. 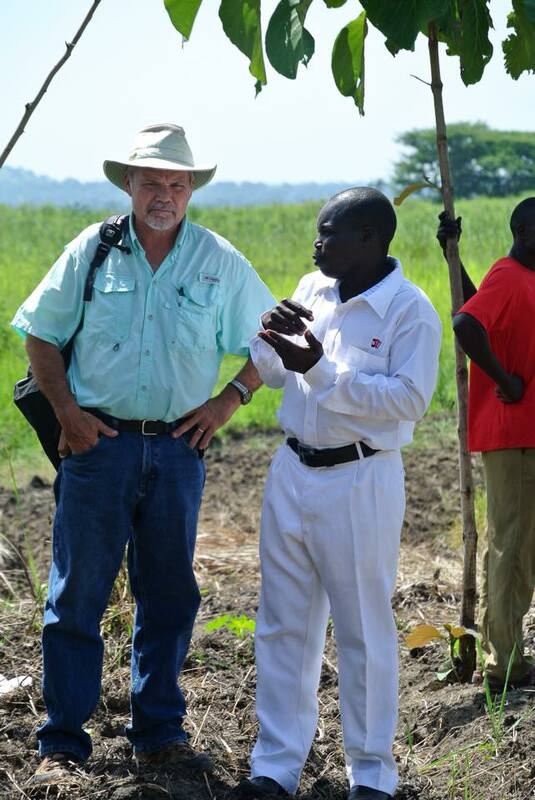 Please consider prayerfully giving towards the Agricultural goals of RAU. Once again, we have hired Apiku Emmanuel (Emma), who was the RAU Principal Agriculture Extension Officer for the pilot program. 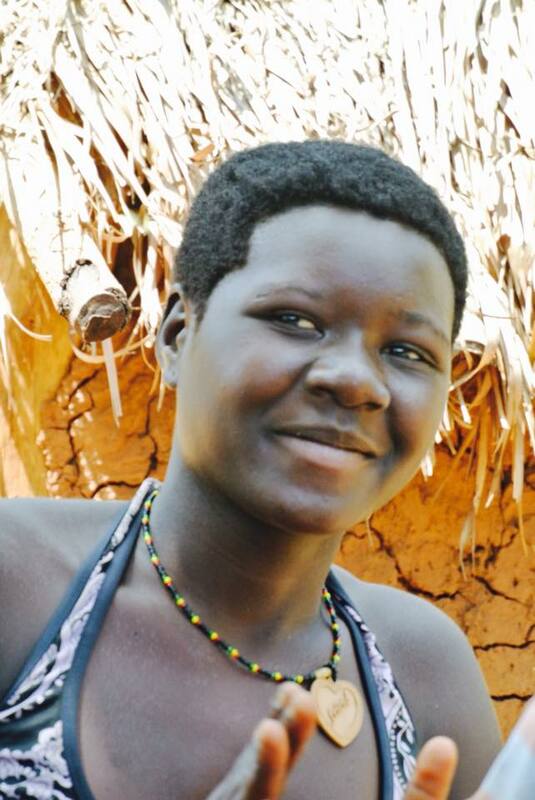 Emma graduated with honors with a Bachelor Degree in Agriculture from Gulu University. 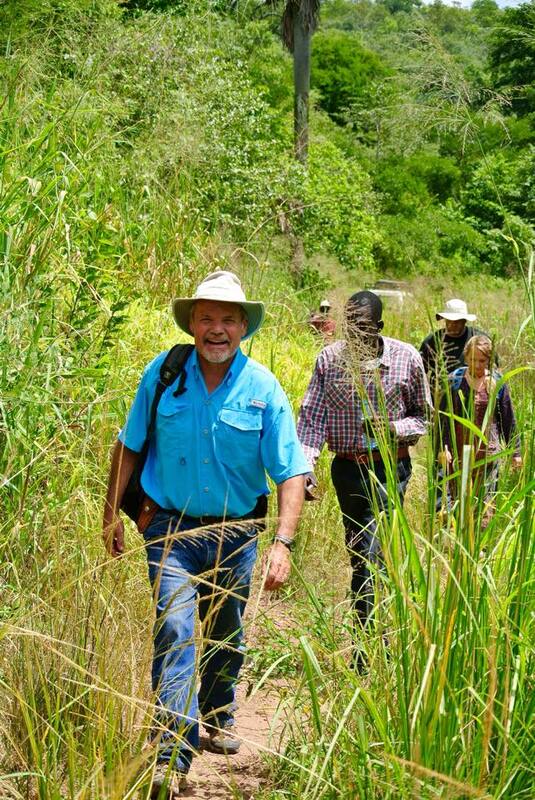 His enthusiasm for capacity building through improved agricultural practices in his home town area of Moyo and beyond has been a great encouragement to the local people. 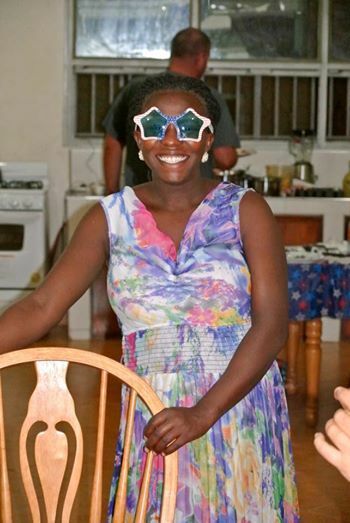 It’s not often that people with advanced education in Uganda return to their own communities with the passion to build them up, but Emma has done just that. We are blessed to have him. 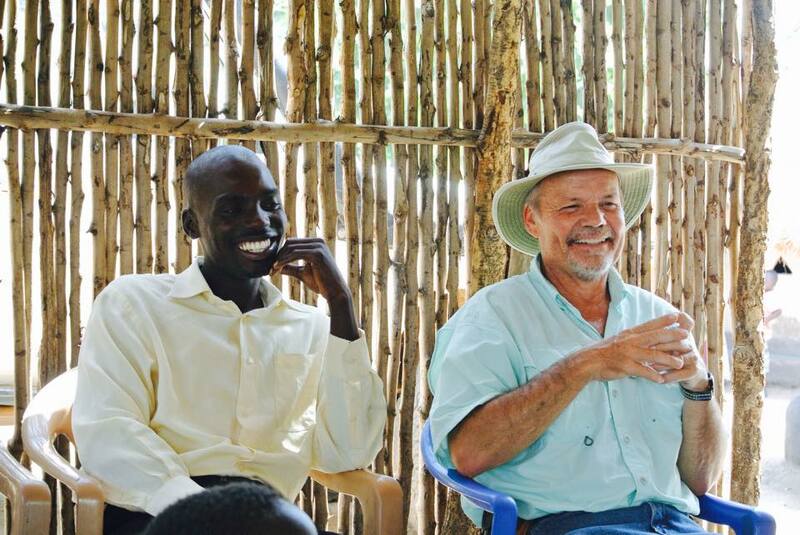 Jacob recently met up with his good friend, Charles, and a new and beloved believer in Yumbe. Soon after greeting one another with a Texas-sized bear hug, Jacob told him he had been praying for him almost everyday and that many others, too, were praying for him. The new believer then told Jacob and Charles that he had had a dream which he had not told anyone about. In the dream, Jacob was pointing a certain direction and when he (the new believer) looked in that direction he saw a man clothed in white with a bright shining face. He then woke up knowing that Jacob had been praying him. Jacob took him to Matt 17 and Rev. 1 (see caption picture) where there are recorded visions of Jesus and told him that the One whom he saw was Jesus. All were greatly encouraged. 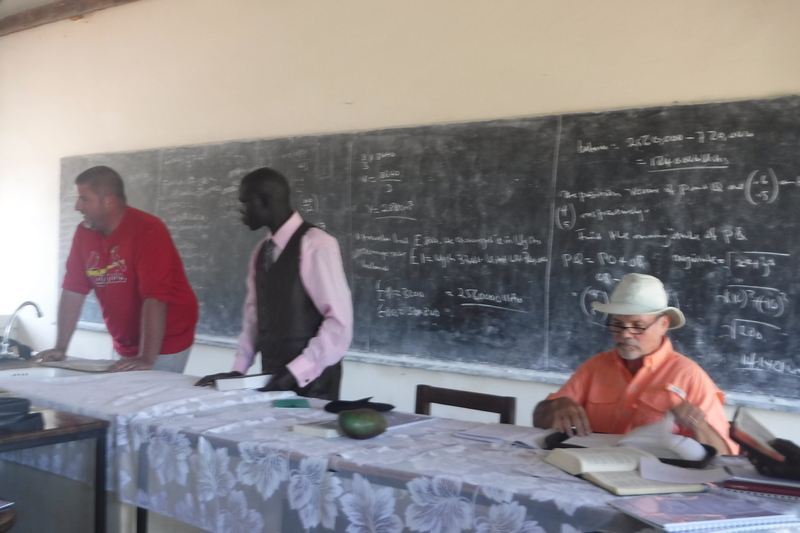 Plans were made at this time for two separate meetings, one with Imams and Sheikhs, like the preceding 3 dialogues Jacob has done, and also a meeting in a Yumbe District town where many Muslims who are interested in knowing more about Jesus (Isa) may be able hear and ask questions about the teachings on Jesus. Both are in this month of March. 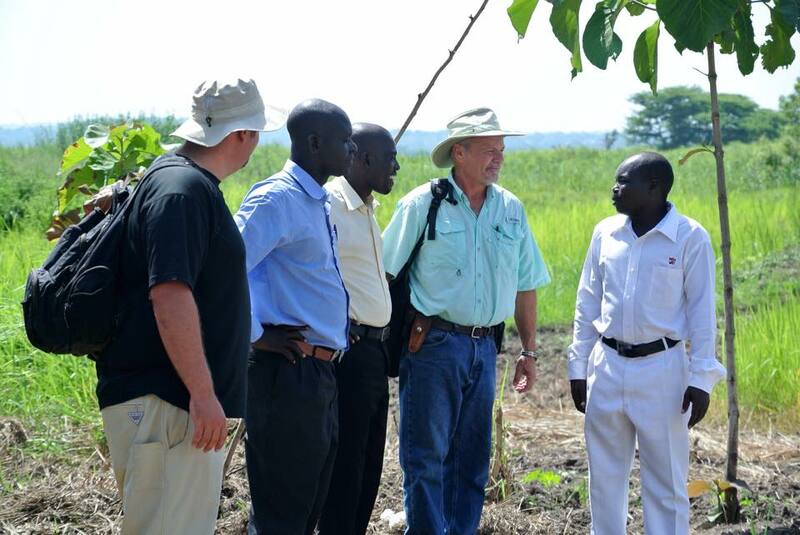 Please be praying for Jacob and Charles, and for all who will attend the meetings, that there would be a peaceful and fruitful continuation of the dialogue that has already taken place and that eyes would be opened to the grace of God given through Jesus Christ. Once a location is decided upon, a second water well will be drilled in a Metu Mountain village. Currently they get their water from holes and streams. We will be traveling to Obongi to visit Godfrey and his church and to encourage them in their outreach into the community. 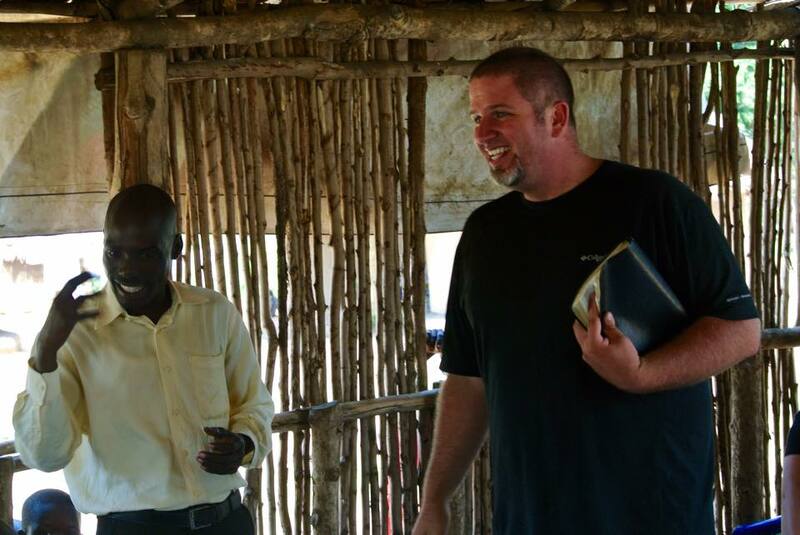 Jacob is continuing the one hour, bi-weekly preaching on the Moyo TBS radio station. 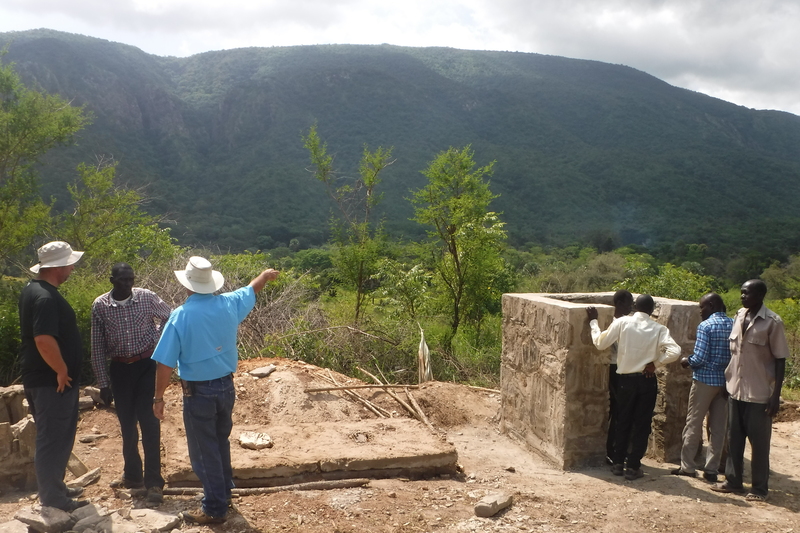 Also, Pastor Tobious has identified two more remote villages in the Metu Mountains that have no church in them. 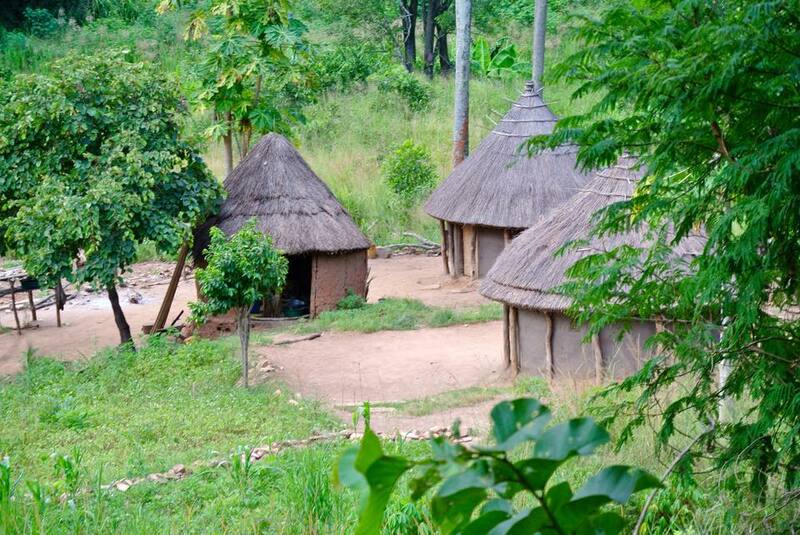 Jacob hopes to visit these villages with the Gospel and to take part in establishing churches in each one. Once again, this process leaves a gaping hole of the need for discipleship. However, Pastor Tobious is already working on identifying some men who can travel or move to these places for the sake of shepherding new believers. 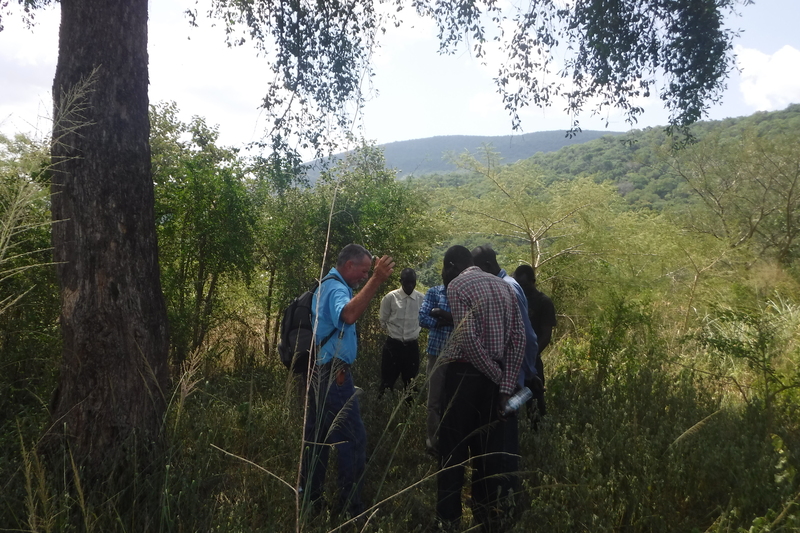 Two more villages without one church in the nearby Metu Mountains have been identified…Jesus says “GO”! 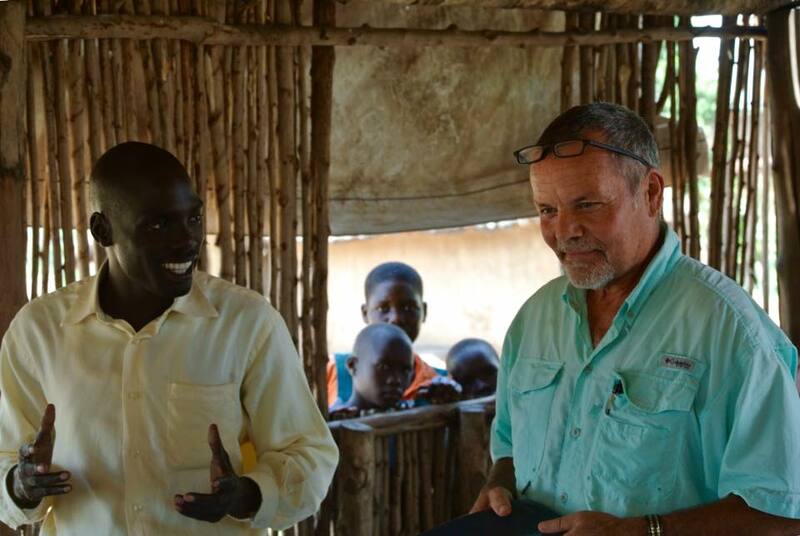 This brings us to the most dire need we see – that need which inspired the ministry of Reaching Africa’s Unreached in the first place – a Bible training school that will be more accessible and affordable for those who have been identified as potential leaders for church plants. 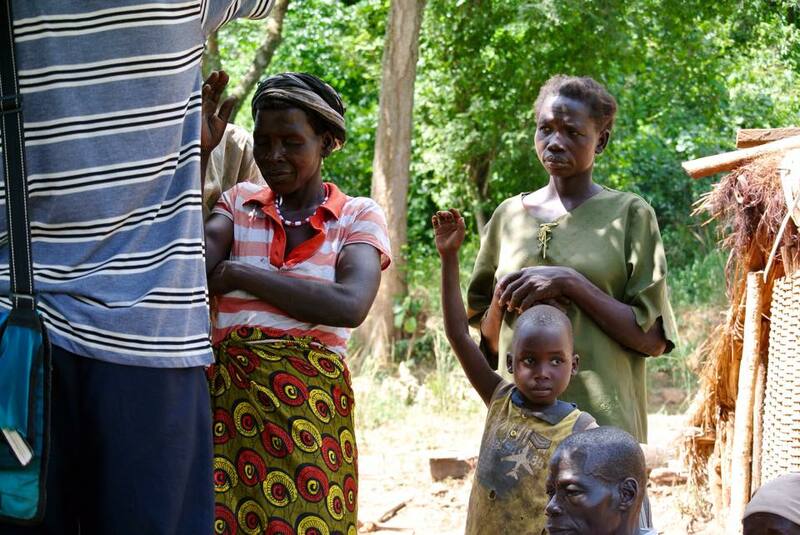 Availability and resources in the West Nile of Uganda have always been major obstacles to church leaders getting the kind of training needed to effectively lead church members and new believers. Most pastors and church leaders must be bi-vocational in order to support their families. This hardly leaves time or resources for pursuing training. 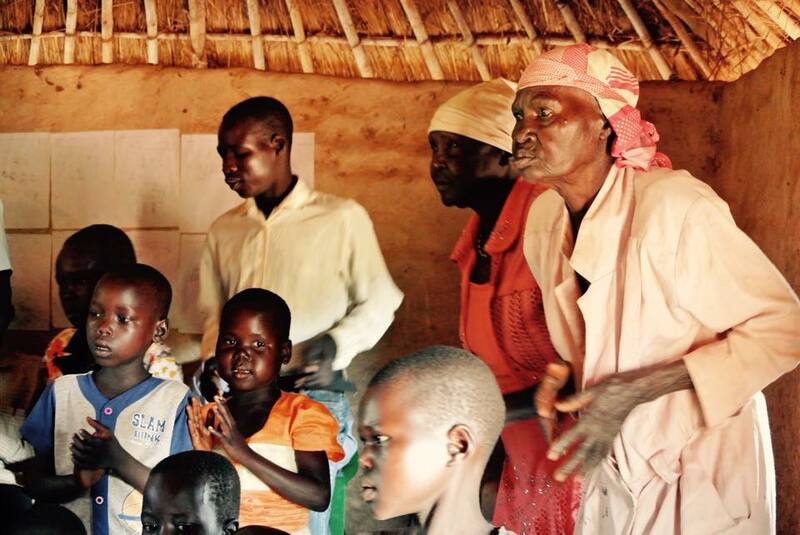 With a short-term program, leaders could come during the week to receive training over a full variety of topics. Each topic would be covered over one week. By the end of three months it is our hope that the leaders will be more thoroughly equipped to lead their churches. 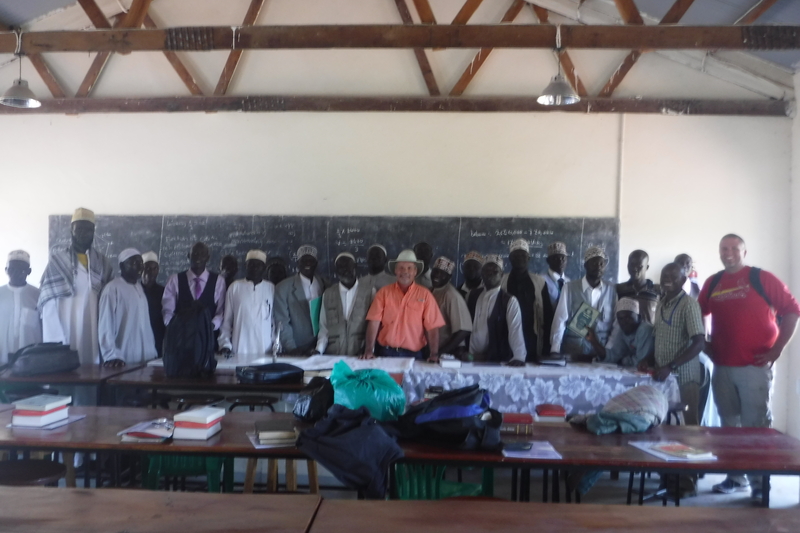 The Bible School can also be an avenue of training for the many shepherds for the new churches which are being birthed. 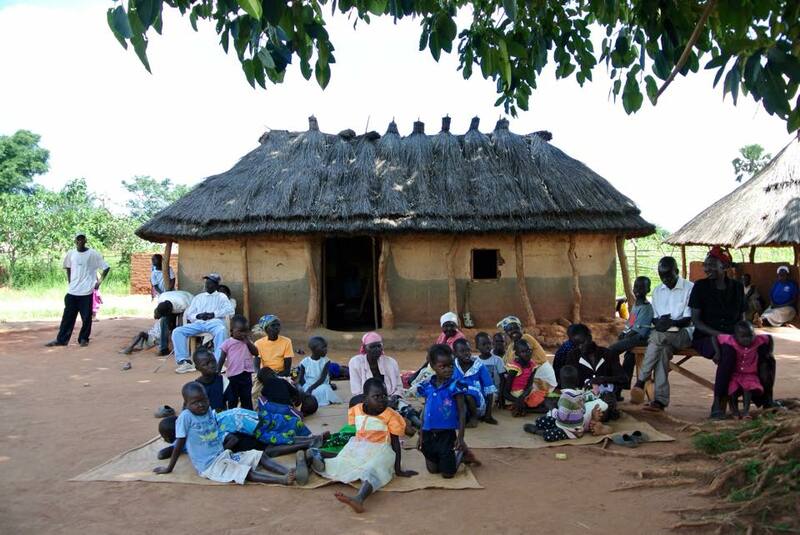 Our hope is to raise $35,000 to build a classroom with an attached Living room/Kitchen which will be used for a 3-month, intensive Pastoral training.These funds would also help us get set up and registered with the Ugandan government. Again, we ask for prayerful consideration in giving specifically towards this project. We thank each and every one of you for not growing weary in doing good, for praying, loving and sacrificing towards fruit-bearing which often can only be seen by faith. We love and bless you all in Jesus’ Name! Jacob and I hope your Christmas Season was blessed and joyfully celebrated! In spite of illness, the Lord gave us a gracious window of health in which to enjoy a special time with all of our children and grandchildren. What a blessing! We pray that this New Year will hold many God-orchestrated adventures of grace and growth. We are mending a little more slowly than we would like, but we ARE on the mend. Looking back over the last few years we wanted to remind you of all the Lord has done and has allowed us ALL to participate in through financial partnership, prayer and hands-on involvement. *19 four-day retreats held at RAU (since its beginning) comprised of foundational teachings as well as, now, agricultural training. The average attendance is 20 church leaders per retreat. Our theme verses are 2 Timothy 2:2 and Acts 19:9b-10. 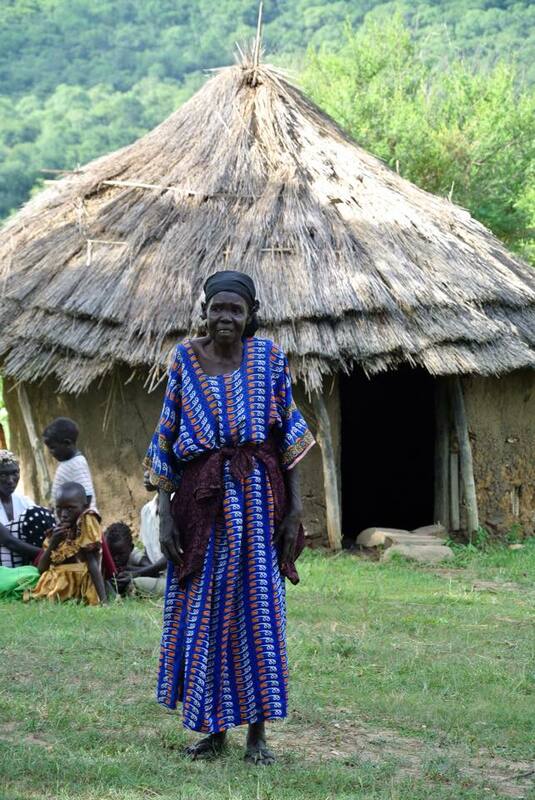 Due to the completion of Lydia’s House, we have been able to include women church leaders in the retreats. 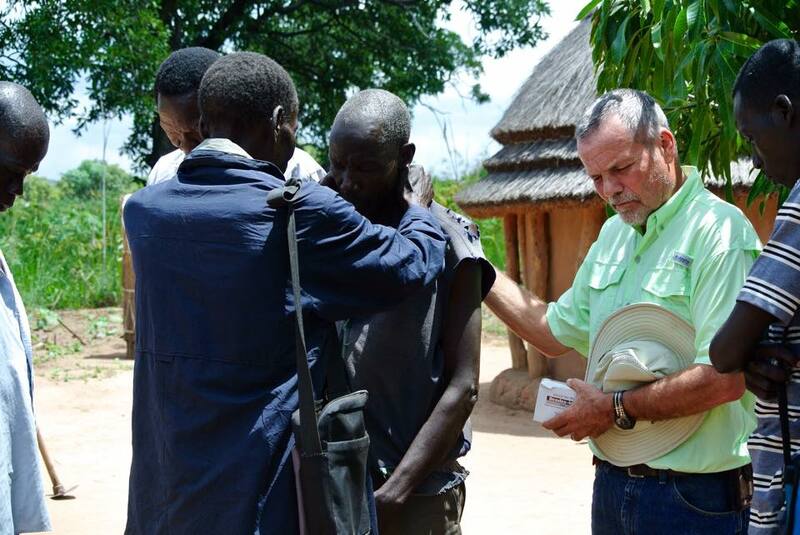 *Evangelism in the neighboring Yumbe Aringa tribe which is 99% Muslim; working hand-in-hand with the few Aringa believers. 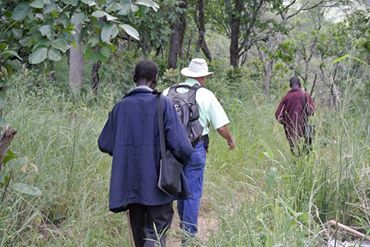 Goal: to plant Christ-exalting churches among the Aringa. 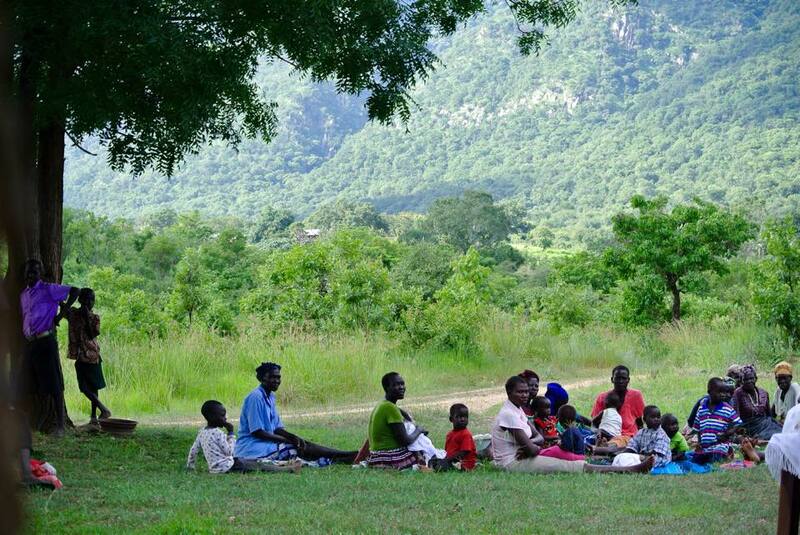 *Church-planting/discipleship in remote areas of the nearby Metu Mountain range and Obongi sub-county. Discipleship training in local churches and conference settings. 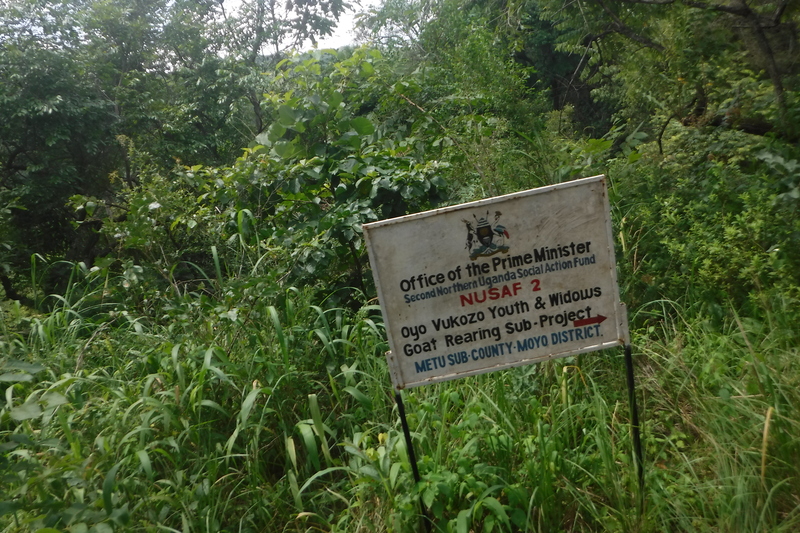 This one was in Koboko. *Medical aid to children and adults in dire need. *Clean water to remote areas through a bore hole. *Educational sponsorships for Primary and Secondary students. Preaching on a local radio stations. 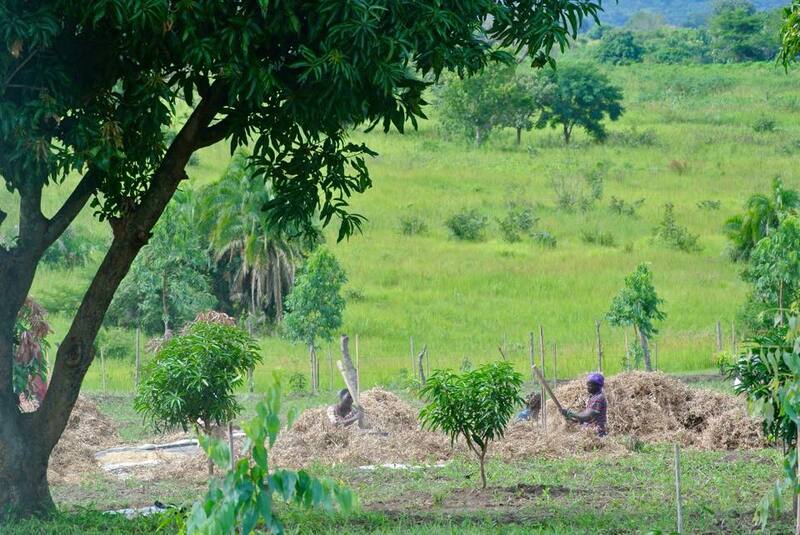 *Basic Agricultural training and capacity building/economic empowerment in partnership with M.A.R.S. 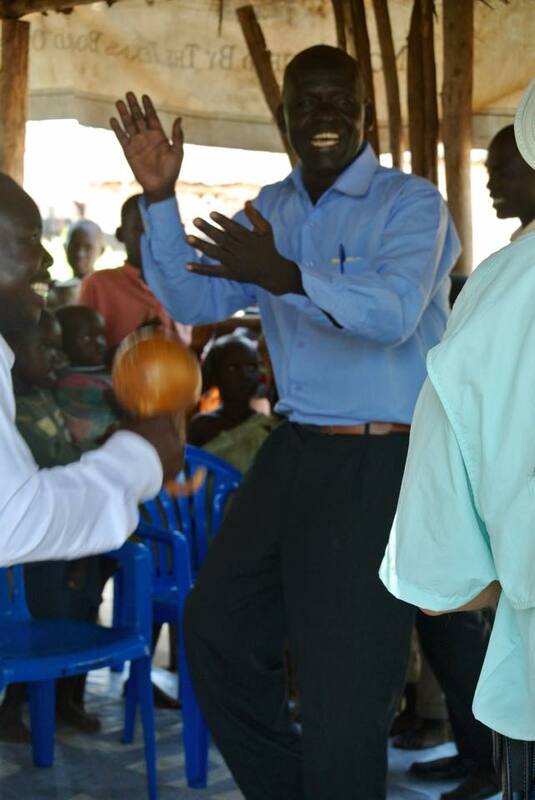 and our Agricultural Extension Officer, Apiku Emmanuel. *Widespread dissemination of literary resources to Christian leaders and Muslims who are willing to receive them. 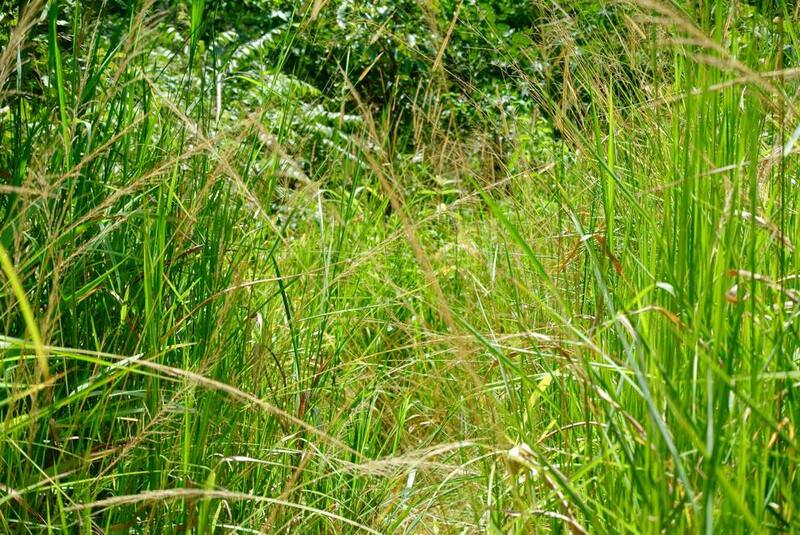 *Transformation through development in the Afoji Border area, not only of the physical locale, but in the lives of those who work with us at RAU and those who live in the region who have benefited from resources and medicines. 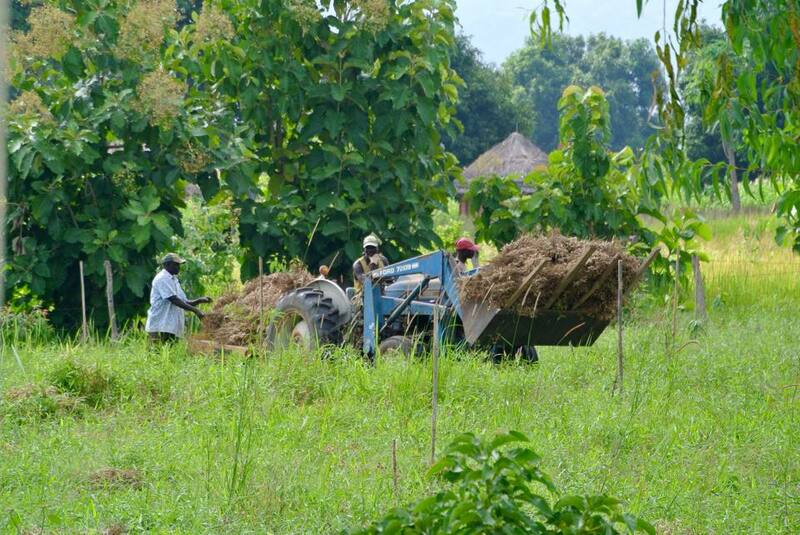 We have on-going, yearly needs so that we can continue and finish the work that has been started! *We need more monthly financial partners to help us as we budget for daily operating costs of ministry. Even a small, monthly donation of $15-30 is extremely helpful. (Daily operating costs , retreat expenses, Land Cruiser upkeep and fuel, copying and distribution of Muslim apologetic booklets and foreign language Bibles etc.). *We still have several children who need private Christian school sponsorships for the school year at $900/child for the whole year. This includes room and board. 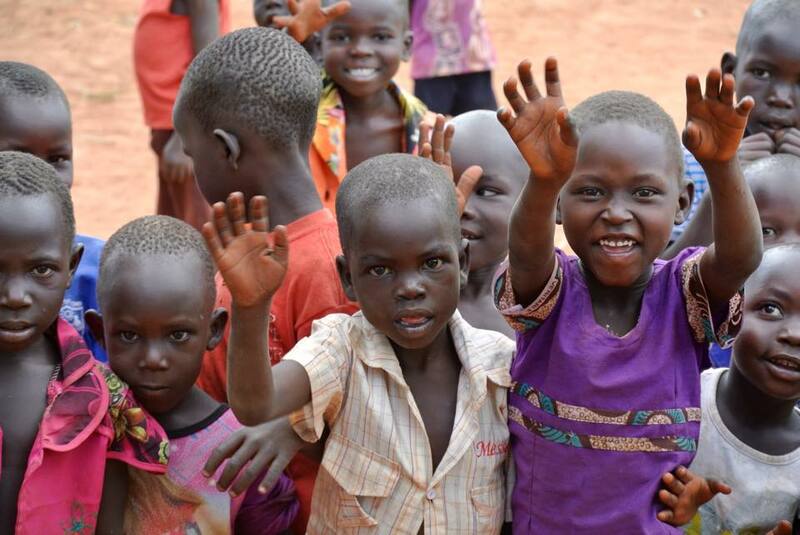 There are many more children to sponsor if there are donors. 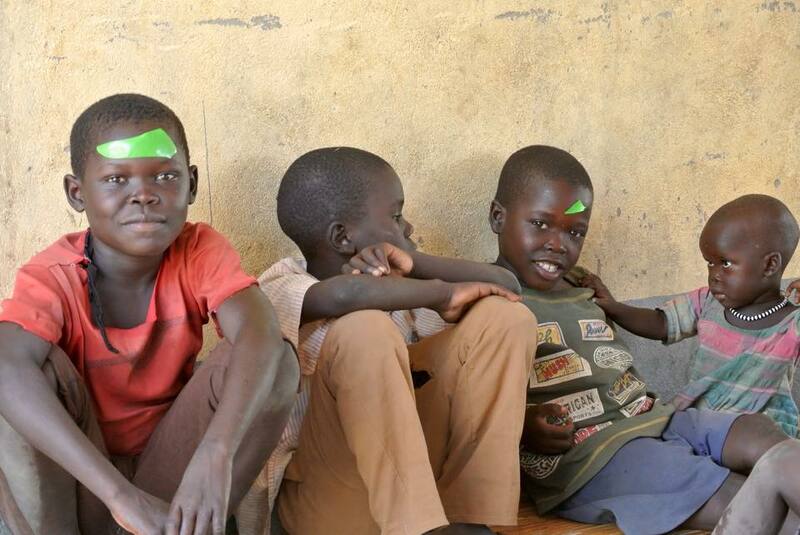 School fees, including in government schools, are the hardest for people to come up with as cash flow is always a problem for most families in our West Nile region. 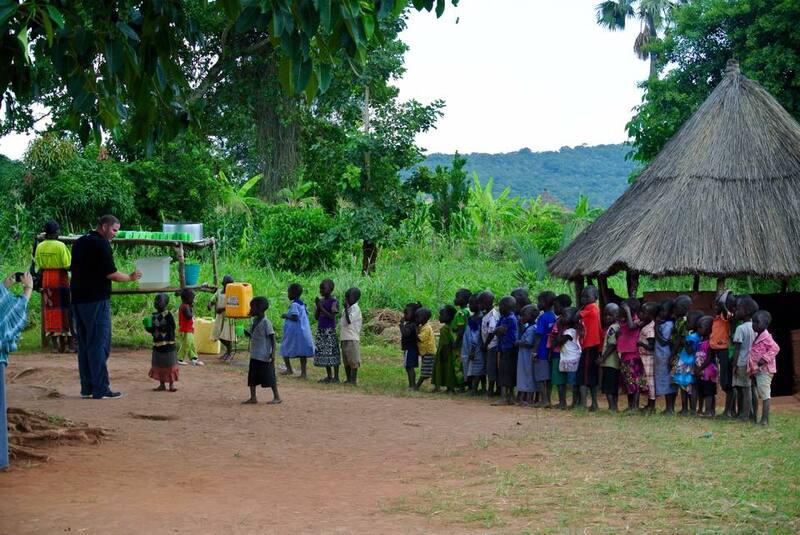 They may have food to eat from their gardens but not enough cash to pay for their child’s school fees. Kids often drop out of school for this reason or they may have to wait until school fees can be collected before returning. In addition, the local government school classroom size ranges from 100-200 students per teacher making it very difficult for children to receive a quality education. Please take a look at a link to one of our fundraisers! Grace and peace to you all through our Lord Jesus Christ! The hard work of getting the tractor “un-stuck” after the hard work of shredding. “Therefore, since we are surrounded by so great a cloud of witnesses, let us also lay aside every weight, and sin which clings so closely, and let us run with endurance the race that is set before us, looking to Jesus, the founder and Perfecter of our faith, who for the joy that was set before him endured the cross, despising the shame, and is seated at the right hand of the throne of God. Consider him who endured from sinners such hostility against himself, so that you may not grow weary or fainthearted. Which one of us cannot relate to the reality of weariness – even in the pursuit of something holy and good? We all have, at some time, grown weary, lost focus, felt discouragement, fallen off the trail or felt like giving up completely. As Jacob and I and the RAU team near the end of a very busy season, we have each, in some way, felt the dead weight of weariness, so I hope that this newsletter serves as a cheering voice from the sidelines, from among “the great cloud of witnesses,” to us (and to all who are running with us) to not lose heart or grow weary, but to keep our eyes fixed on Jesus, the author and finisher of our faith, and to keep our focus on the joy that lies ahead. 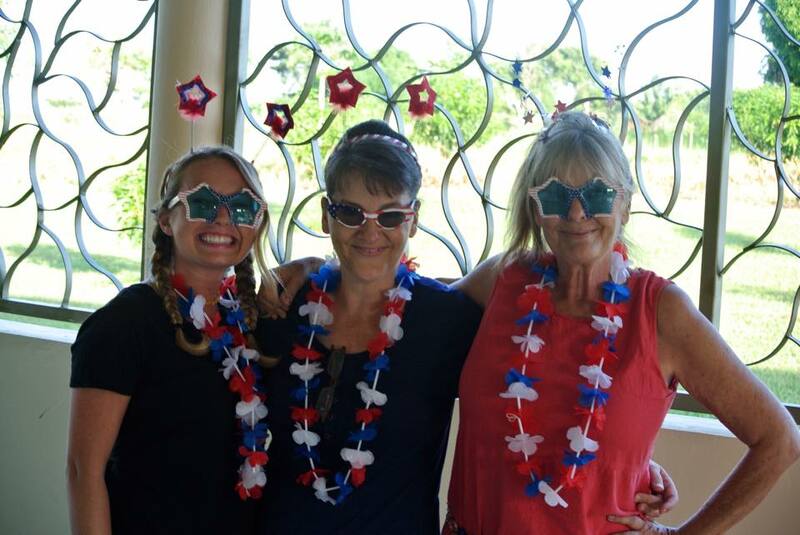 Just last week, we completed our 19th Leaders’ Retreat with a group from the D.R. Congo, who came from deeper within than the previous Congolese group. 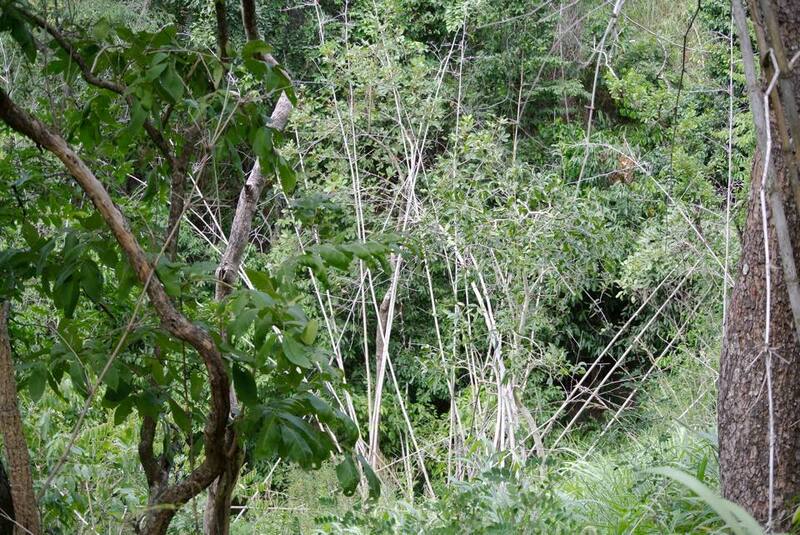 Several of them work with the Mbuti Pygmies. Jacob is planning a trip to visit them next April with the goal to be a part of raising up shepherds for the new Mbuti believers. 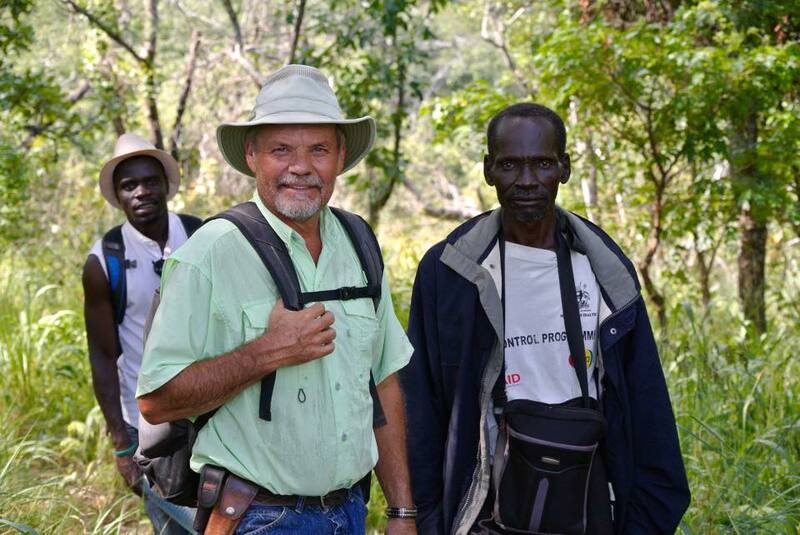 The Mbuti Pygmies are coming to Christ through the faithful witness of Congolese believers. The Congolese leaders arrived weary from traveling a very long distance, some having even walked miles to get to where the taxi would pick them up. I saw the importance for this “retreat” of making sure they started off with medications that would relieve symptoms of the hardships they experienced in coming. It’s hard to focus on learning when the body is crying out for relief! Congolese leaders on their first day receiving their resource bag which include resources from the recently arrived container. Once again, our aim is to equip and encourage and so each one gratefully received a resource bag in addition to the teachings that were presented. Pastor David Kabaale, from Kampala, along with Jacob and Emma, were the featured speakers and all did a wonderful job of teaching as well as inspiring. I have started, during testimony time on the last day, to do a short teaching about recognizing those (whether it be in the church or in an organization) whose ministry may be hidden (like the roots of a plant…or the part of the iceberg which is under water). This is a springboard to acknowledge the work of those at the retreat who may not have a visible role of ministry. Everything – the resources, teaching/training, service and care – make the retreat a “retreat” that strengthens and encourages those who attend. You who partner with us in your prayers and with your gifts are the unsung heroes of RAU! At the very end, when testimonies of God’s grace are given an opportunity to be shared, it is a reminder to us that information has not only been received but, in some measure, put into practice. After Jacob’s teaching on the “Parable of the Unforgiving Servant,” one gentleman got up and called his wife up to the front, apologizing to her and asking forgiveness for a wrong committed relating to the retreat. That is obedience! Such obedience helps us (as RAU) to keep our eyes on the prize when we know that our efforts have resulted in their benefit and joy. 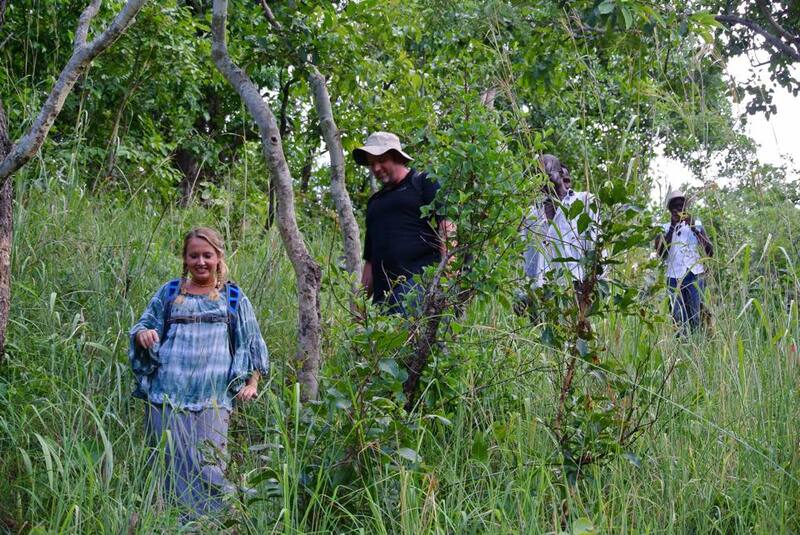 I particularly enjoyed Saturday and Sunday when John and Vikki Wright (with YWAM, Arua) and their 3 kids (as well as a friend) came for the weekend to enjoy some unique hiking adventures. 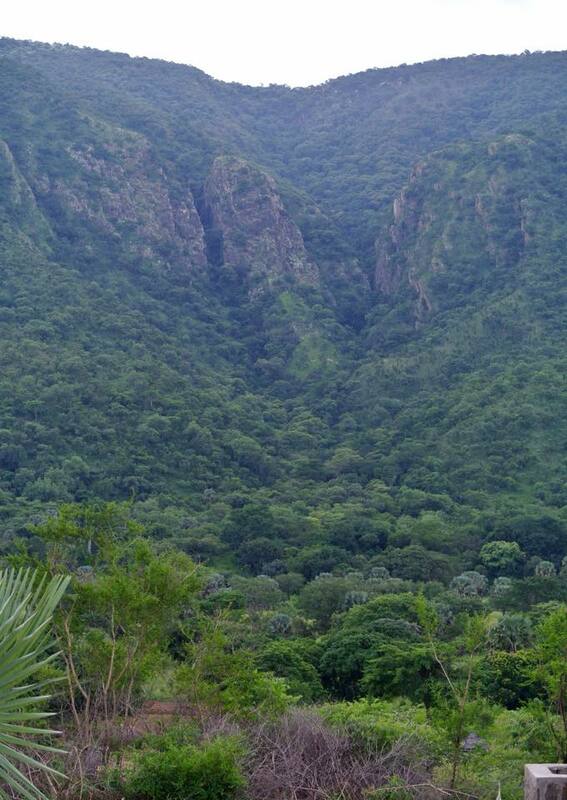 It was John’s birthday on Sunday and his particular wish was to see a rare species of Cycad which was discovered by a local gentleman, Alule Herbert. Herbert was our guide on a hike through the area where this Palm tree grows natively and exclusively. The following day, we all climbed up (ugh!) 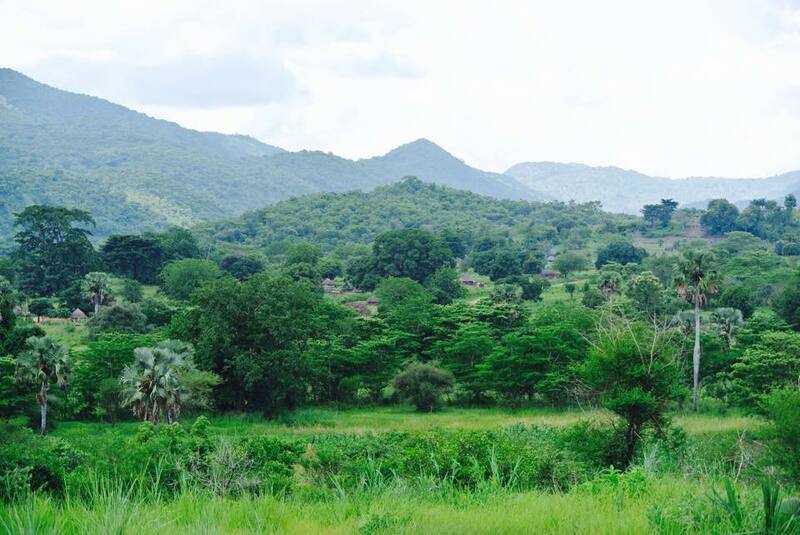 to the top of Otze Hill, where THE MOST spectacular view of the Nile River Basin can be seen for miles on either side! I am sorry to say that I and my cardiovascularly untrained body were nigh unto the last to make it to the top! But! Oh. Man! Was it ever worth it! Seriously, I need to do that more often! This week, thankfully, has been one of those stick-close-to-home weeks where housekeeping tasks can be caught up on! Monday, we had an awesome time of fellowship with Emma and a friend of his with whom he will be leading a Bible Study on Sunday nights. It brought great joy to share the Word of God and it inspired hope for the next generation of the Church. Jacob has been working on the perimeter fence with the men. 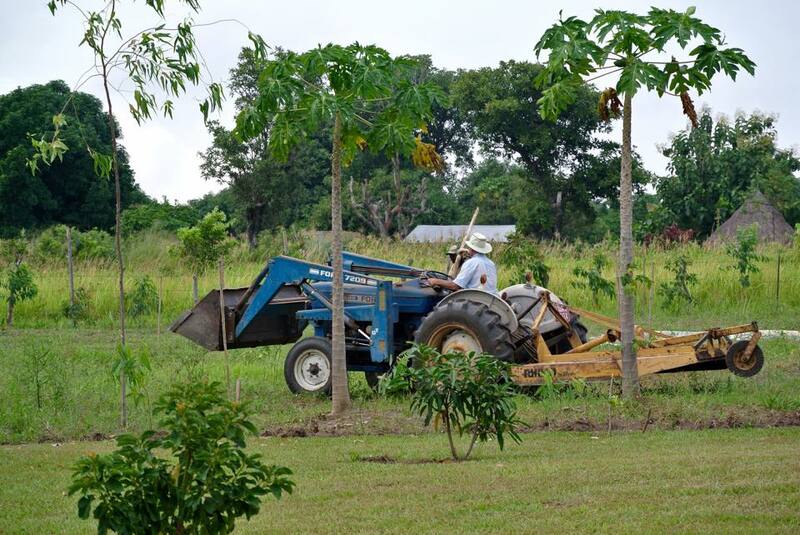 He loves opportunities to use the tractor as, for him, that is a relaxing and enjoyable pastime and he enjoys passing on his expertise to those who are willing to learn. 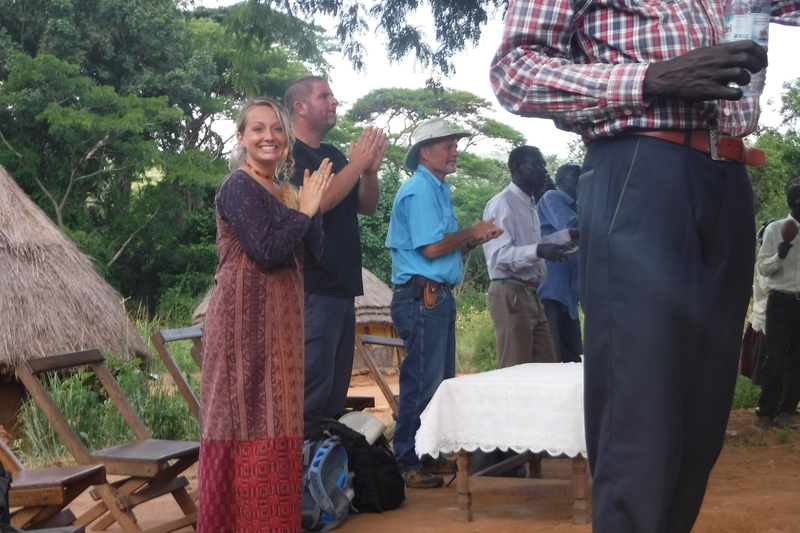 On the 18th, Jacob and Emma headed to Aya with Water Harvest International folks who, once again, surveyed for the drilling of a well. 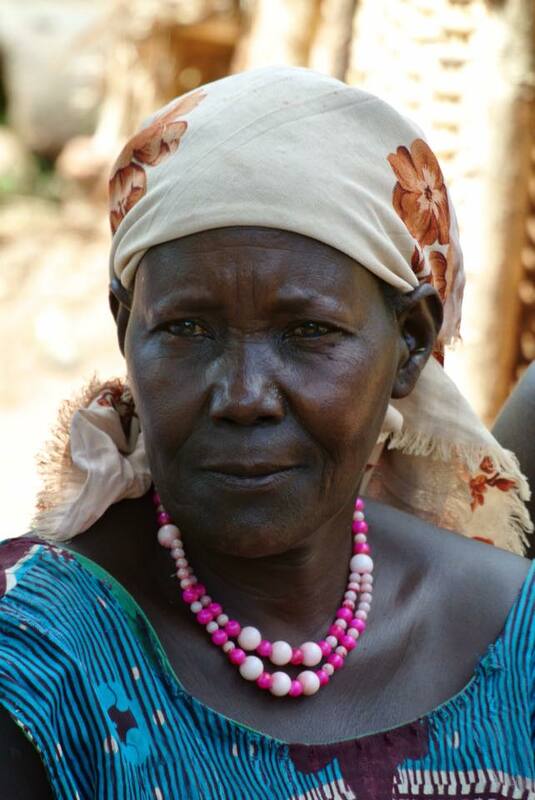 Over a year ago, money was donated for a bore hole and a community meeting took place, but the Ma’di/Kuku conflict brought the drilling to a halt. We are getting back on track with that plan. 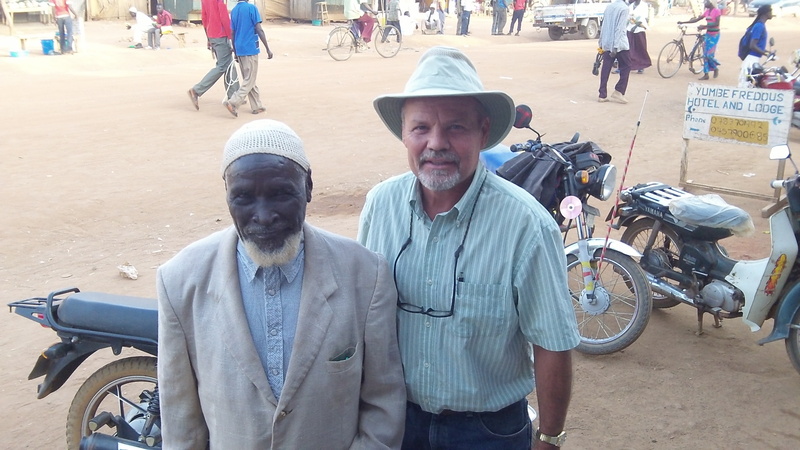 Sometime this week Jacob will meet with local Afoji/Moyo Muslim leaders who approached him about meeting and having a Muslim – Christian dialogue after Jacob gave them Bibles and other resources. Please be in prayer for that meeting. This has been an exciting season of open doors for Jacob in relation to sharing the truth of the Gospel in a friendly environment with Muslims of the region. 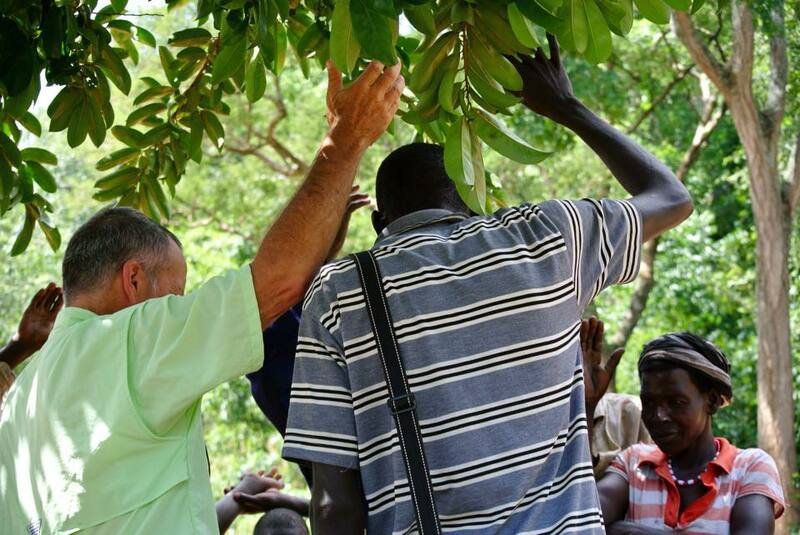 Please be praying for a harvest and softened hearts and safety. Jacob has had the joyful privilege of sharing in the harvest. Be in fervent prayer for one man in particular as he grows in Christ and works out – with fear and trembling – the salvation which has been worked into his heart. He has a family for whose safety he is concerned. With open doors also comes opposition (See 1 Cor. 16:9). Jacob has a new page up at the the RAU website entitled Who Is Jesus? A Christian-Muslim Dialog and I encourage you to take a look at it. This week we have a contractor here (who has built almost everything at RAU) to build a roof over the containers under which will be a workshop/storage area. 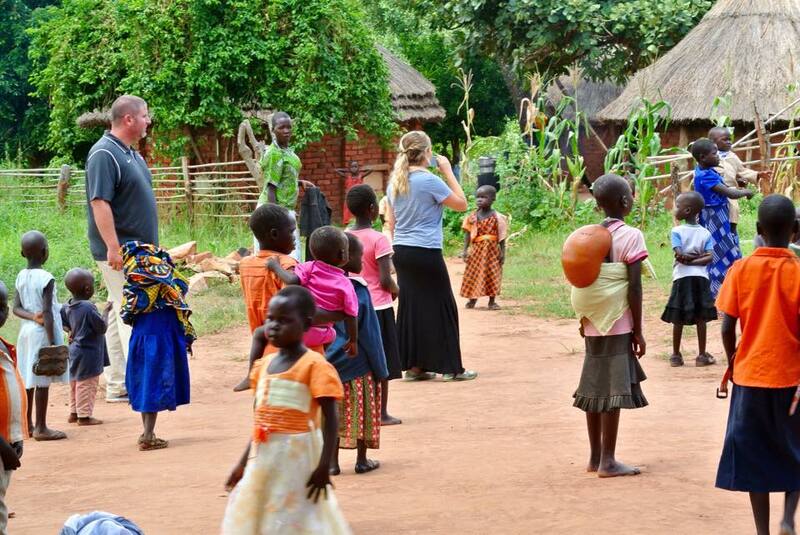 One week from this coming Saturday, the Youth Group from First Presbyterian Church, Kampala, will be here for about a week to be in ministry in Yumbe and Metu. 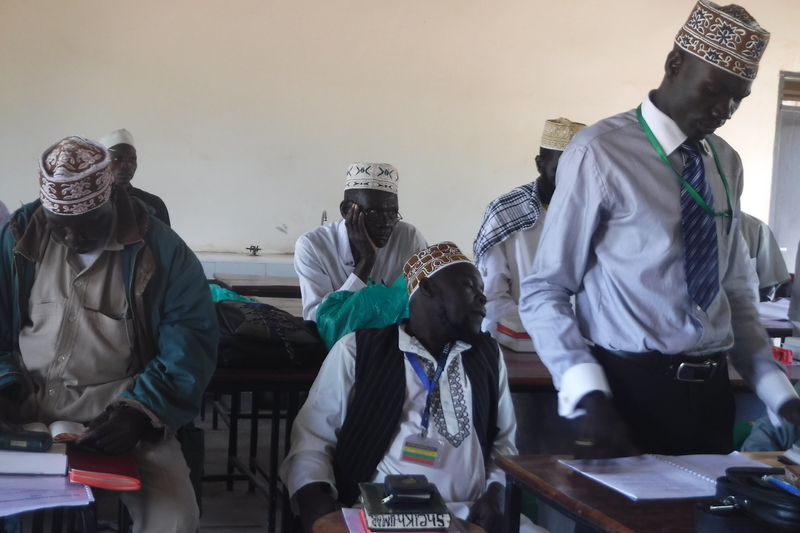 They have been preparing themselves for loving and informed interaction with Muslims in Yumbe as well as mercy ministry in the Metu Mountain regions. We look forward to encouraging and giving the next generation of the Church opportunities to grow in knowledge and obedience and experience and to be encouraged by their zeal and desire to serve. Our time with the Youth Group will be the last formal ministry event before Jacob and I return to the States for a break. Both of us are yearning to be reunited with our children and grandchildren and all of our loved ones and friends in the United States. Our hope, though, is not to “get away” from ministry, but to be refreshed and strengthened to continue in the ministry – to find renewed strength and vision and partnership so that the prize on which we fix our eyes can be realized and our joy in it can be full. *There are 3 ministry events in Yumbe district, starting this Sunday (Sunday – Wednesday – Sunday). The program will involve one on one evangelism, open air preaching, and showing of the “Jesus” film in Aringa: Kei – Sunday; Yumbe Taxi Park – Wednesday; Kuru – Sunday. Remember that this area is largely Muslim in population. 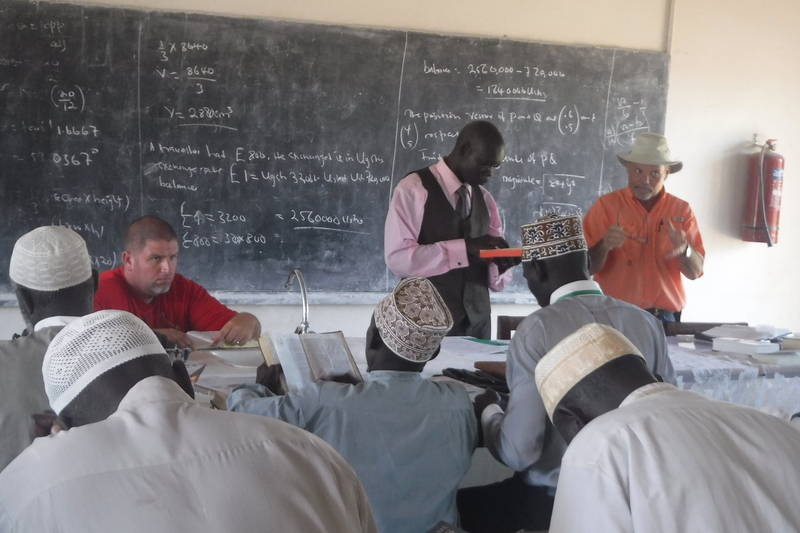 There have been repercussions to Jacob’s involvement in the Muslim – Christian dialogue as emissaries have been sent from Egypt, Saudi Arabia and Tanzania to strengthen Muslims in their beliefs against the influence of his teaching centering on “Who Is Jesus?”. *There has been a harvest and we continue to expect an even greater harvest as the seed of the Word is sown. Pray for those that have trusted and will trust Christ. 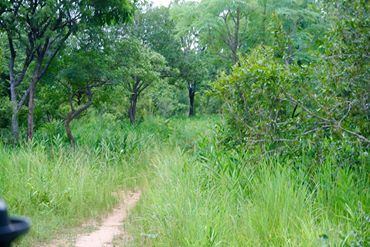 Yumbe is not an area where becoming a Christian is easy and without consequence. 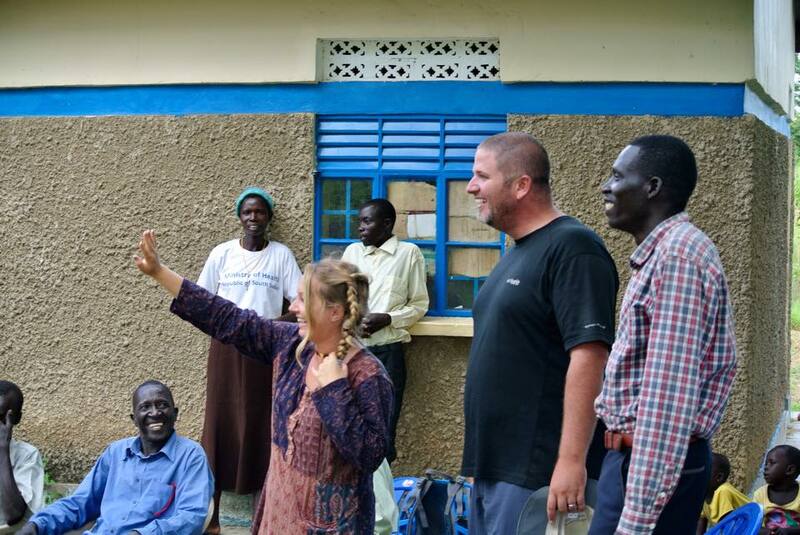 *Knowing that a greater harvest is on the way, we feel it all the more important to have a Bible school at RAU where pastors can be raised up to care for the “sheep of other folds” as Jesus talked about. We cannot “birth” people into the Kingdom and then not provide for their nurture. 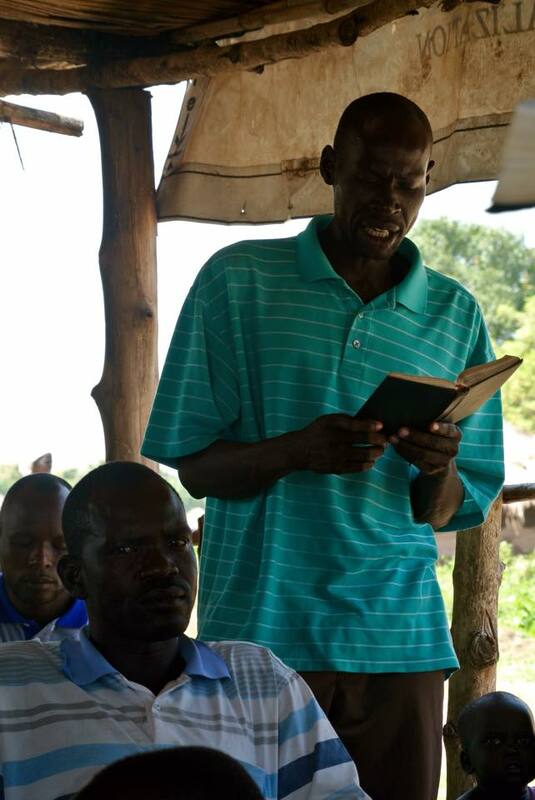 *We want Jacob to be able to focus on the evangelism and discipleship outreaches to Yumbe and Koboko Districts where very few have been reached with the Gospel. We ask for more partners to give on a monthly basis to see that this, the retreats and other ministry venues can continue. The cost of doing this is mainly in diesel for traveling and vehicle upkeep , printing out resources in English, Arabic and Kiswahili to be given to Muslims as well as church leaders in training, transporting leaders, and numerous other small expenses, all of which add up. 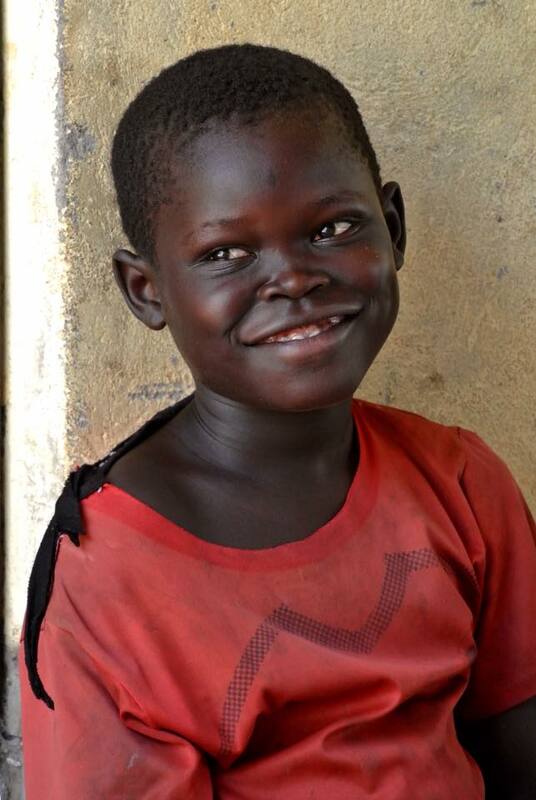 *As we are able we try to help, especially children, with treatment for various physical ailments which most often can be relieved through medications or surgeries. One of the young girls who is being sponsored at First Presbyterian’s Christian Primary School recently was diagnosed with a serious skin disease. We have provided funding for that. Such needs come up fairly frequently, so to have your generous support is very helpful. 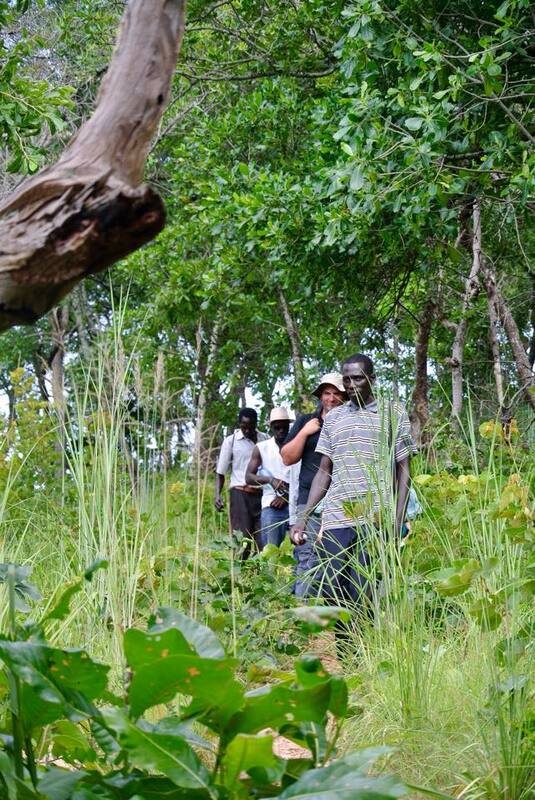 *RAU/MARS Agricultural Extension Program (Apiku Emmanuel – RAU Extension Officer); the 6 month pilot program is extremely successful and we are looking to extend the program yet again. 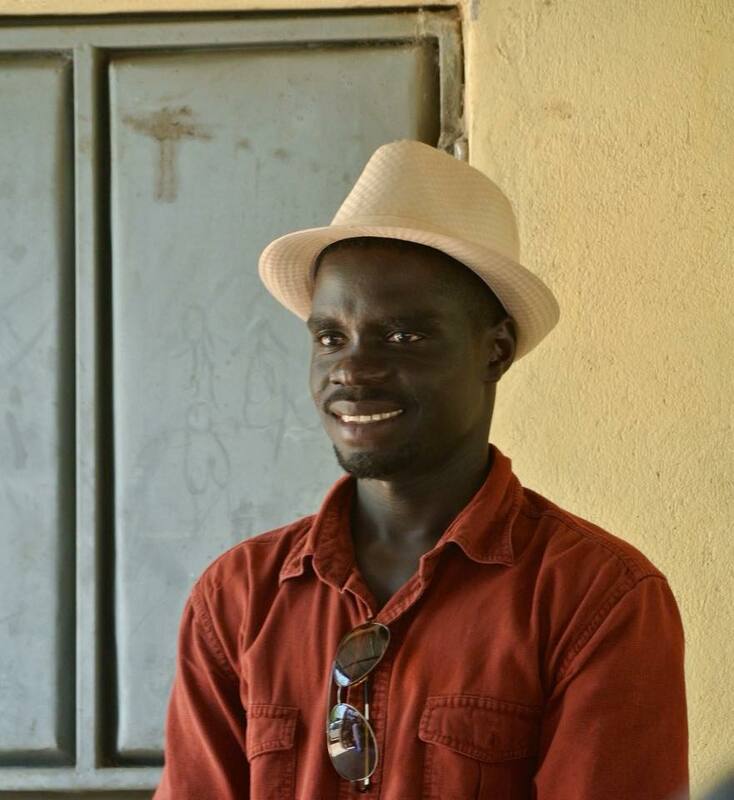 Emma has opened up many doors of opportunities with his connections in this area. We are looking into a Saturday morning radio call-in show in which Emma can showcase his expertise and be a blessing to a wider number of local farmers. We would like to be able to sponsor half the cost of airing such a program. *Jacob has been given the opportunity to preach on the radio station TBS (Trans-Nile Broadcasting Station) every other Wednesday Evening from 7-8 pm. It has a wide listening audience. Pray for listening ears and soft hearts and for effective communication. 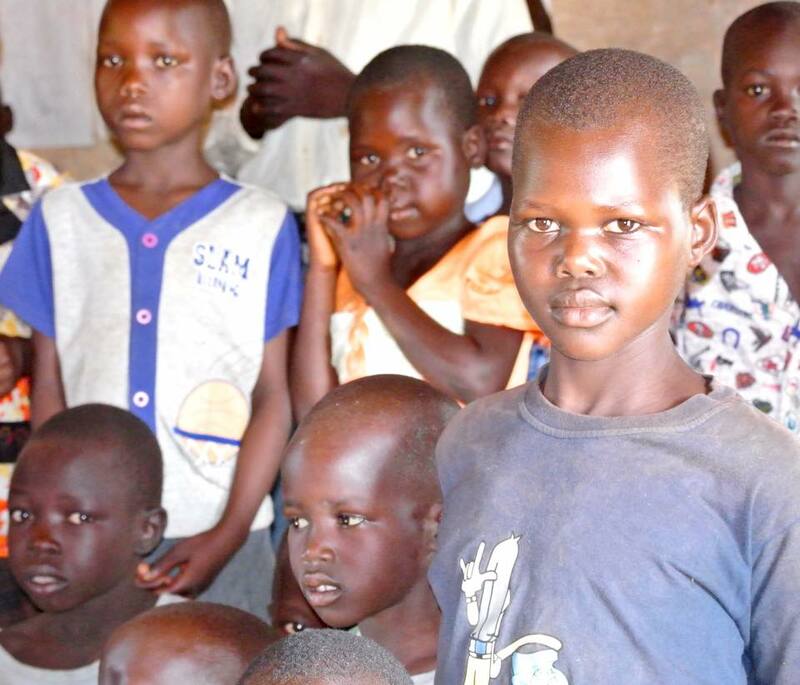 *Right now, we have 8 children from the West Nile Region who were sponsored for this last school year to attend First Presbyterian Church’s Primary school in Kampala. The children have blossomed, are learning English very well and improving their grades. This education will open up significant doors to the children and their families in the future. Consider giving towards the next year’s tuition and fees. It costs $900 per student for the whole year and this includes all fees,lodging and requirements. The total for the eight children is $7200. If more funding were available there are many other children we would like to put in the program. 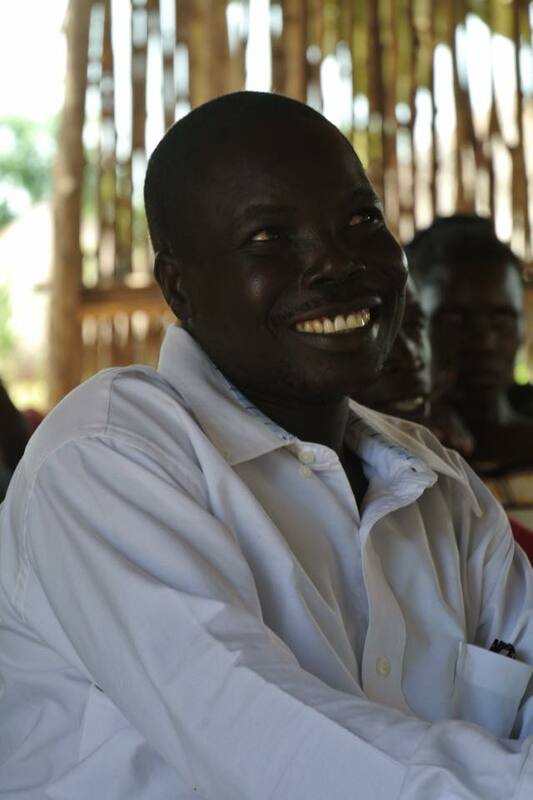 As we exhort ourselves to “not grow weary” in doing good, we ask you to not grow weary in hearing about our plans and need for financial support or in giving to the work of the Lord in the West Nile Region. Just like the Macedonians, give yourself, first, to the Lord where you will find an abundance of joy which overflows to those in need. (2 Cor. 8: 1-5) We pray for us ALL to have a war-time mentality when it comes to serving and giving so we can make the most of time and resources…because the days are evil and time is short. Please pray about giving towards these projects and about becoming a monthly financial partner. It is helpful to have many small, monthly gifts in addition to special one-time gifts so that budgeting can be more effective. If Christianity is of infinite importance than it is worthy of our utmost obedience. I am privileged to witness this truth being lived out by Jacob. You might think that Jacob is working, but, really, he is playing on his toy! After Preston and Laurel left we had no specific, immediate ministry event lined up, but!… it’s not as if there were nothing else to do. No, there was harvesting to be done. I asked Jacob why having land necessitates plowing and planting and harvesting. 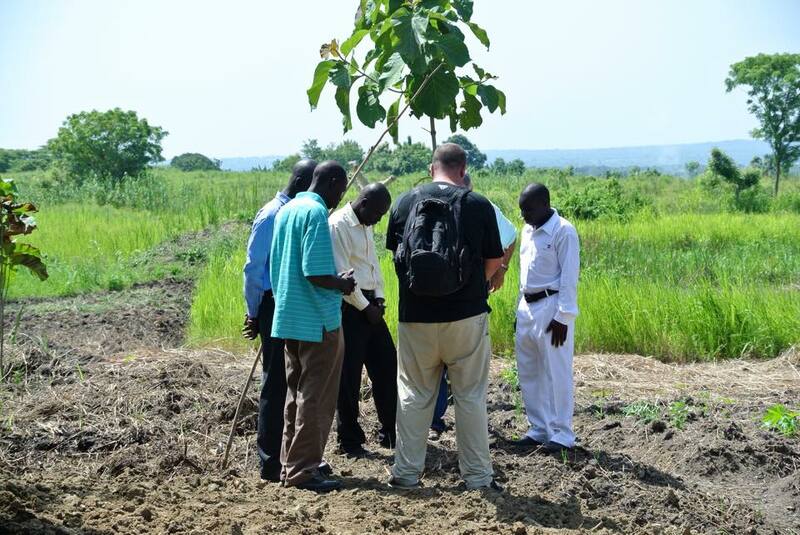 “Well,” he answered, “because it exemplifies hard work and productivity and it gives a good testimony within the community.” He also stated, “The ground needs to be ready to plant the second crop of the year and with upcoming pastor’s retreat time is limited to harvest and get the soil tilled for planting.” So, around here, there is no “resting on our laurels.” (No pun intended, Laurel!) Much of last week and this has been spent (on Jacob’s part) in overseeing and participating in the harvesting of our 10 acres of soybeans. It looks to be a pretty productive crop, too. One hundred percent of the profits will be placed into the ministry of RAU. 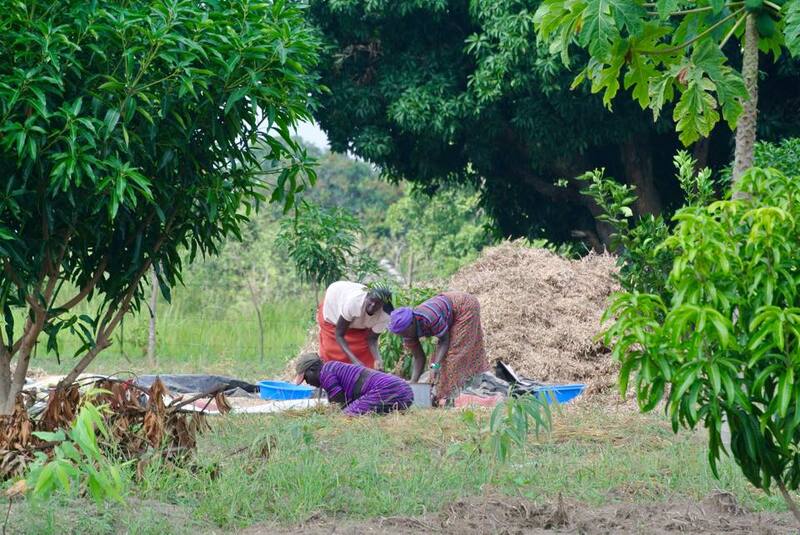 Some of the local women who are happy for the income, doing the hard work of harvesting soy beans. It is tedious work, strenuous and tiring. The soy beans have to be beaten out of their pods. Tough work! We have thought of getting a machine, but then that would also cut people out of a job. At least, working together seems to add some enjoyment to this hard work. Lots of laughter is heard. Jacob is respected for his getting out there in the middle of it all and working with everyone on the projects. Little by little, he is also teaching the men how to operate the machines. 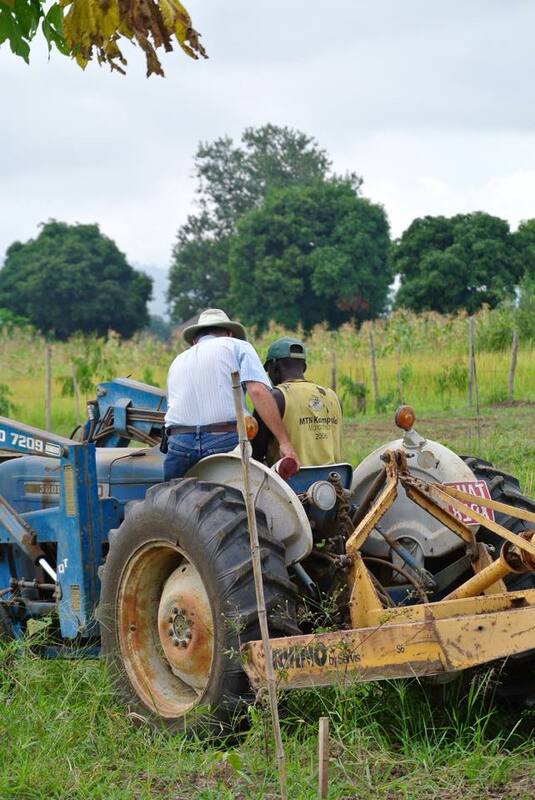 So far, he has trained a couple of men to use the lawn mower and weed-eater and during this harvest time was able to teach one of the men how to operate the tractor. Jacob has grown to respect these men, too, for their faithfulness and hard work. 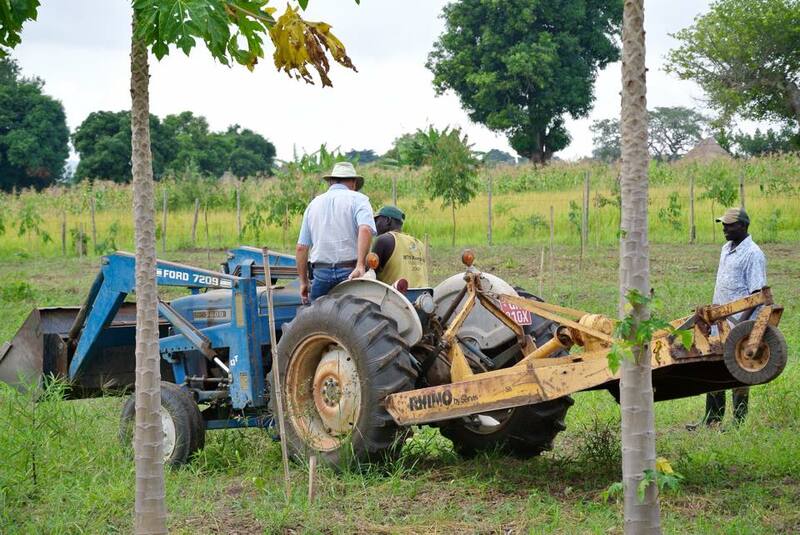 Jacob showing Pastor Henery how to operate the tractor and the bucket. Yup! There he goes…he’s in business now! Jacob and Charles perched on their favorite open air preaching spot. Jacob continues to keep his eyes on the prize and to set his hope fully on the grace that will be given when Jesus Christ is revealed on THAT DAY! He is prepared for action and sober-minded. May the Lord use that readiness to bring great glory to Himself and joy for all peoples! Thank you for your continued prayers and partnership! Meeting with the church in Oyo which is being shepherded by Sam, from Ayaa Baptist Church. No other words could as adequately describe our relationship with Preston and Laurel Sink than the ones above. “Random” life events have thrust us together with this couple in serving Christ and Jacob and I couldn’t be happier! There is not one occasion in which we have been together where laughter and joy have not been the dominating mood – not even on treacherous and rocky roads or in being squeezed beyond the naturally intended capacity, hot and sweaty, into a vehicle, not in hiking up and down steep forested hills where venomous creatures hide beyond our sight or going an arduous day of hiking with little food and water. We can only express our gratefulness to the Lord for allowing such a providential friendship. 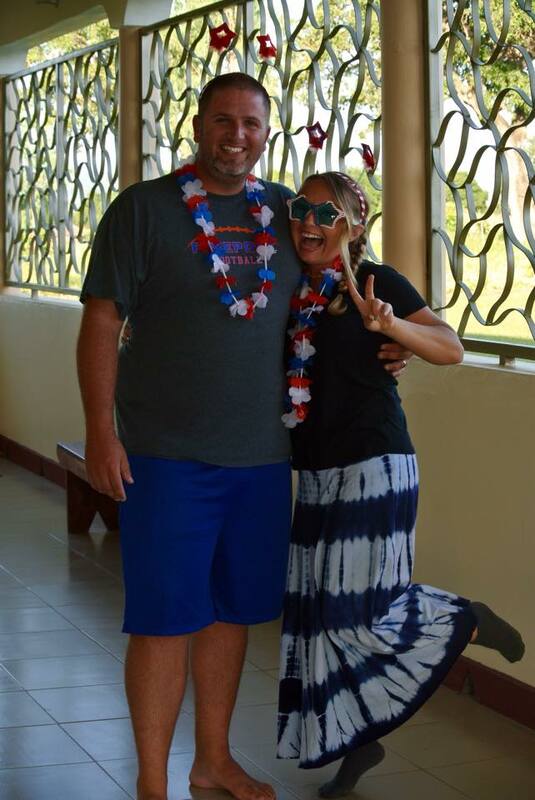 Once again, knowing we only had a short time with Preston and Laurel, we tried to fill up their stay here with as many ministry opportunities as possible. 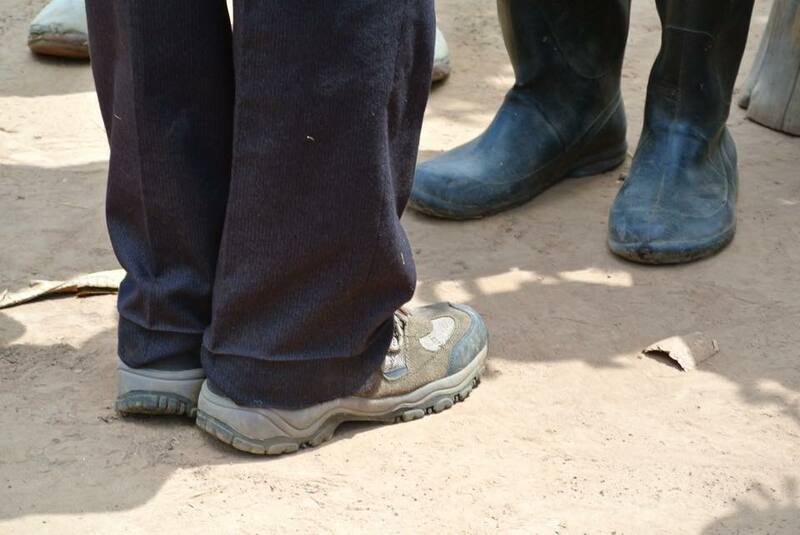 We picked them up in Arua last Thursday (July 2nd) and allowed them one day to get some rest and prepare for what was ahead. 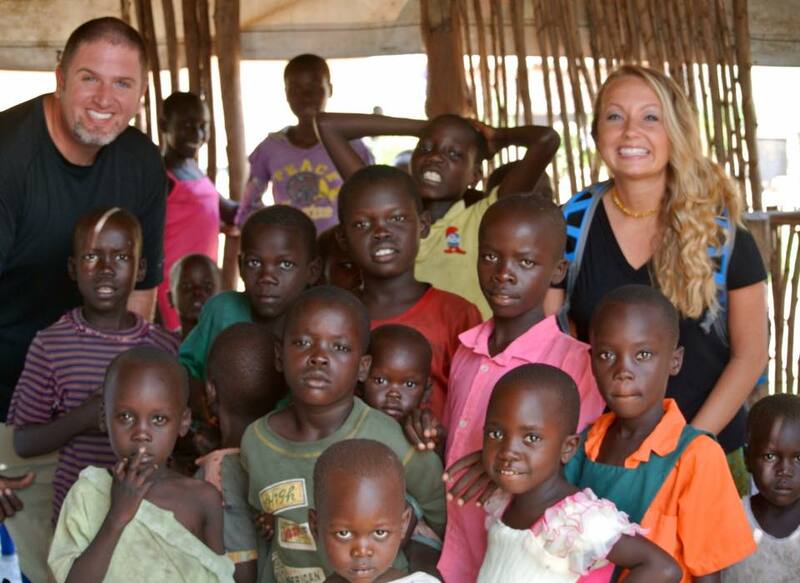 Ten days later, on July 12th we took them back to Arua for their flight back home on the 3rd. 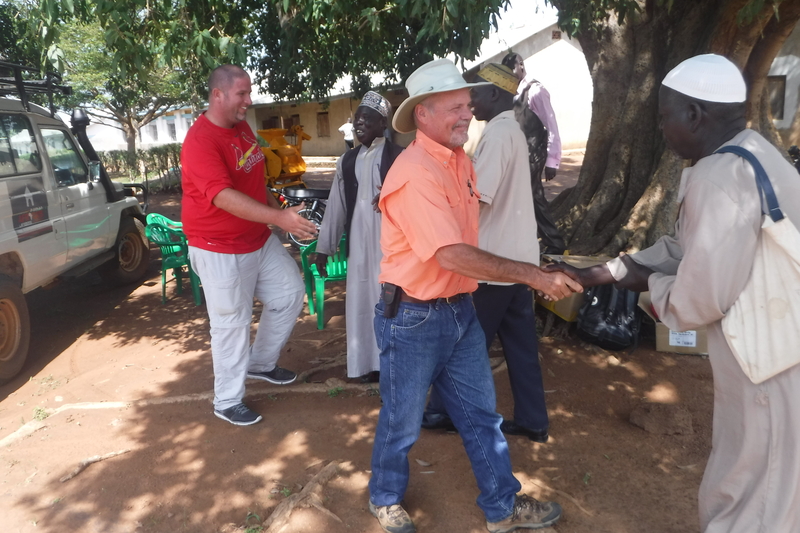 On Saturday, July 4th, Jacob, Zorah and Preston traveled to Yumbe and met up with Charles and some other men from Pilgrim’s Church of Uganda (COU). 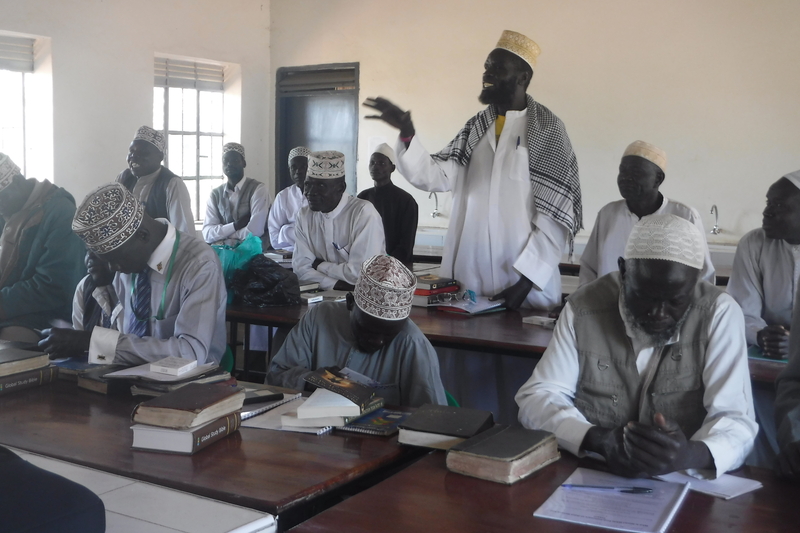 At the same school in which Jacob first met with local- and national-level Imams and Sheikhs, they all met, once again, to dialogue about the true nature of Jesus. As expected, this dialogue was more specific and intense because it concerned the differentiating beliefs of both sides about who Jesus is. 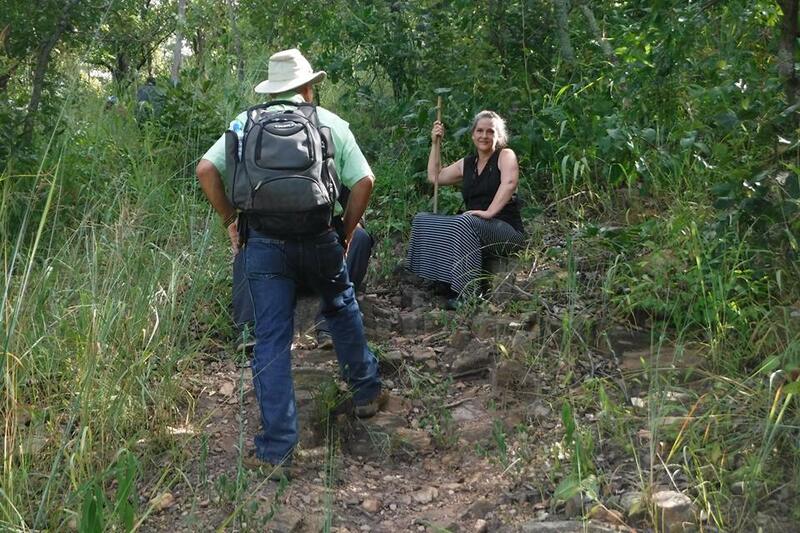 There were some new attendees so more materials (reading glasses, Bibles, books and tracts) were passed out. 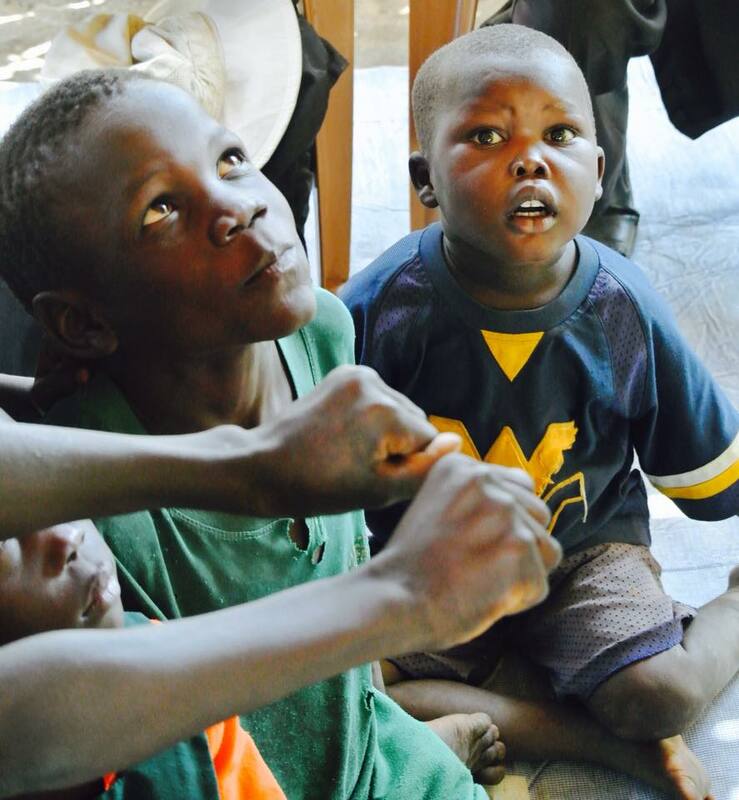 Jacob also gave each one a full dose of Malaria treatment. Preston presented several kick balls and a pump to the school which had been graciously donated by one of his friends in Florida. The meeting, about 4 hours long, ended amicably with yet more plans to meet again in the future. You can read in greater detail about this meeting here. Preston stated afterward that if he had done nothing else on this trip, this one meeting would have satisfied him because it was an unprecedented experience for him. 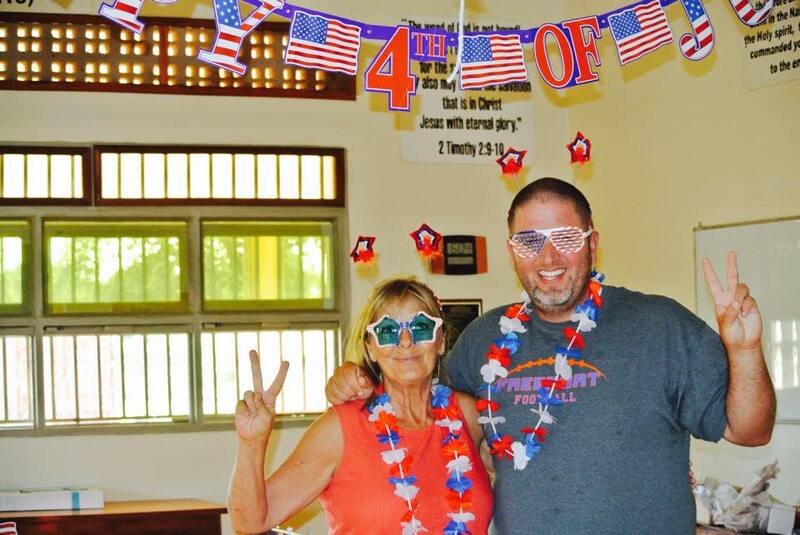 Though Jacob, Preston and Zorah returned to RAU, tired from a long day of interaction and driving, they were happy enough to celebrate America’s Independence Day in style. Compliments of Laurel (and Preston), we had RAU decorated in style with party favors and photo ops befitting the occasion. 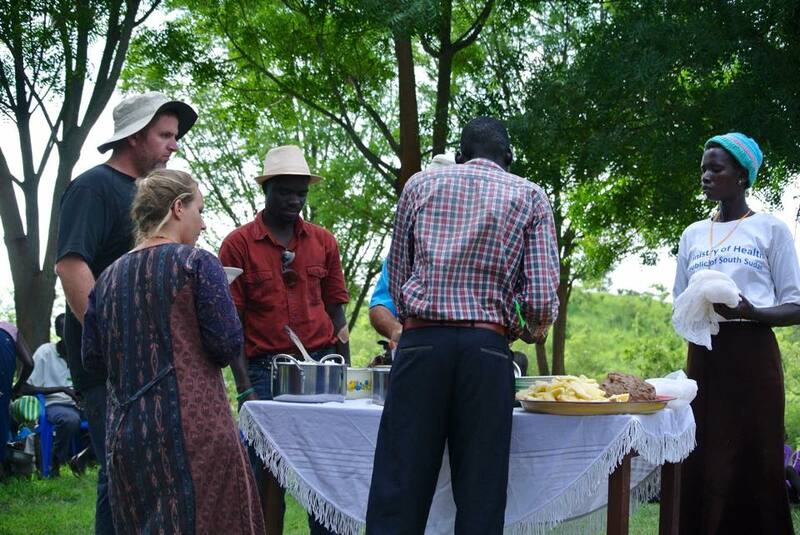 Our good friend and missionary, Denise Carlsen, joined us for the festivities, adding to our feast of beans, rice and pork muchomo, her wonderful pasta salad. The evening was topped off by some wonderful singing, colorful cupcakes and S’mores (desserts compliments of Preston and Laurel brought with them from Florida). 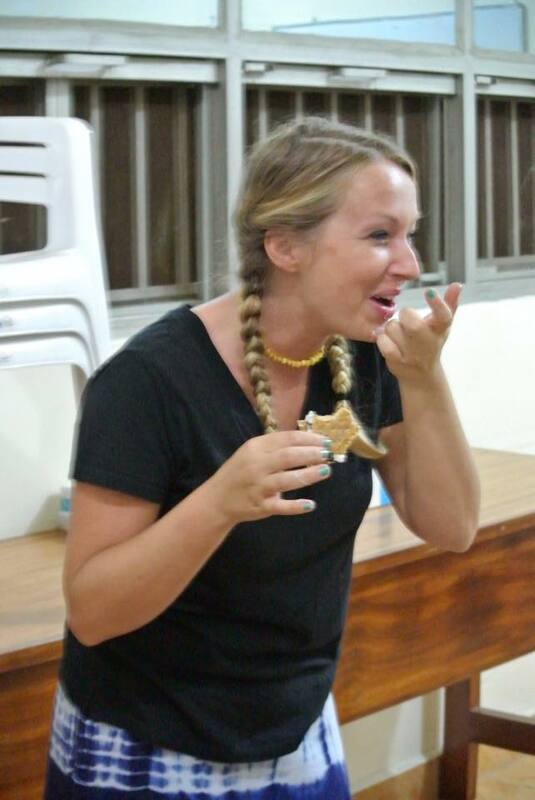 Zorah, Lucy and our night guards were good sports in celebrating with us. As you can see, Zorah somehow managed to stay out of the picture taking, but we had a rare opportunity to find out that he is a brilliant, spur-of-the-moment rapper! 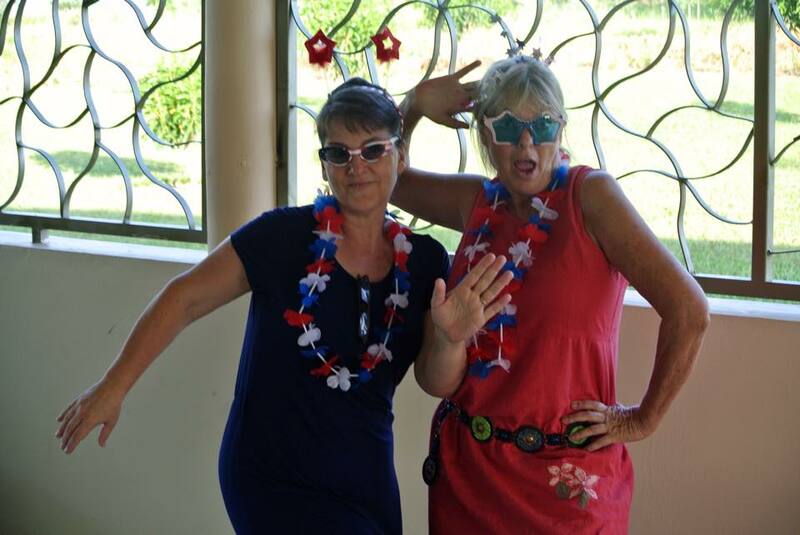 The Ladies…and instigators…of the party! Preston and our friend, Denise. The Lord was kind to bring someone to my neck of the woods as goofy as I am! What fun! Many, many young faces in the crowd! 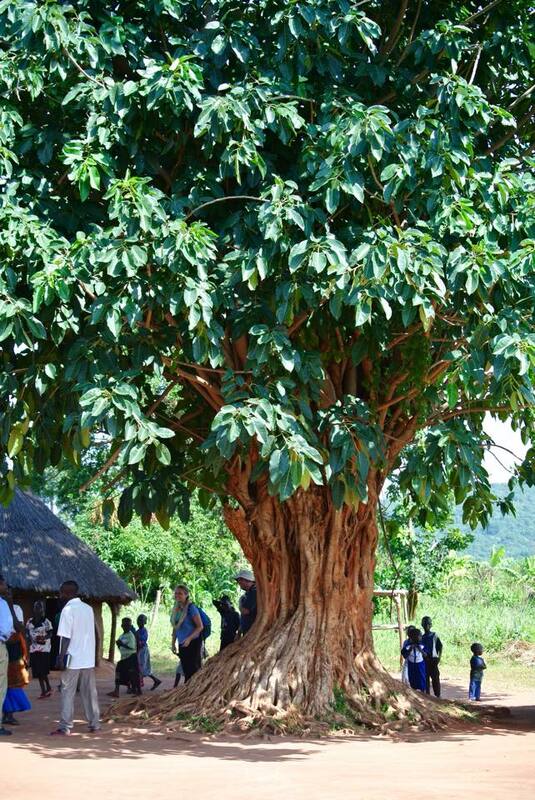 The tree of Ayaa Baptist Church whose shade draws a company of people together. We planned to spend 3 days in the Metu Mountain region, each day being an increasingly arduous and intense one. Sunday was the easy day. It was a joy to worship with Tobias’ church. 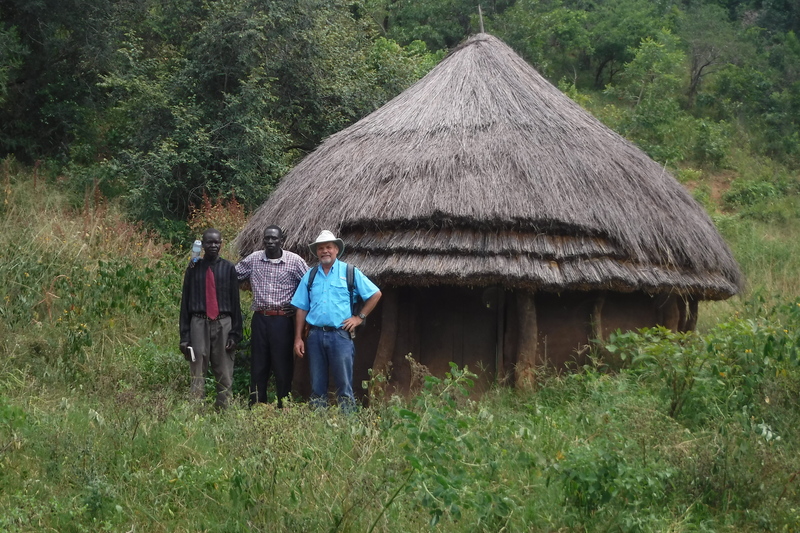 On Monday we headed to the Gbari/Arapi area after picking up Pastor Tobias and a few other men at Metu trading center. 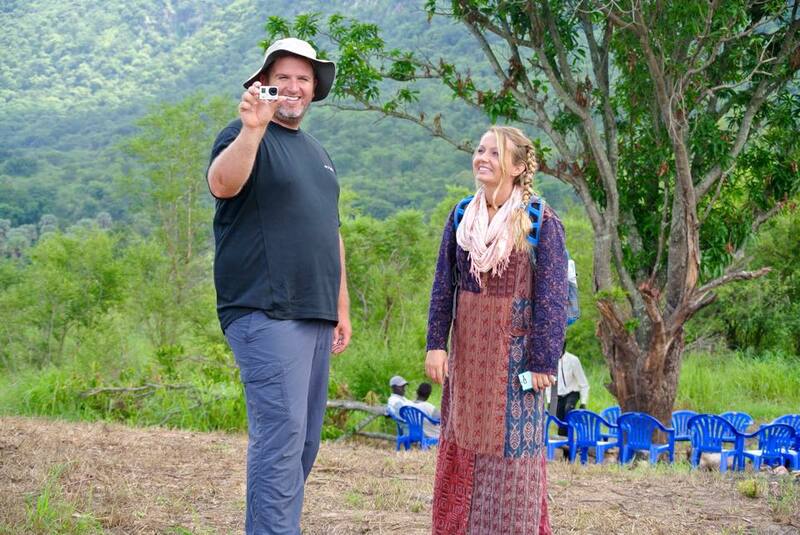 Upon arriving in Gbari, the first “business” of the day was to go to the land on top of a small hill in Arapi which has been purchased for the building of a church and a small home for Geoffrey and his wife and family through the donations of Amazing Grace Baptist Church Seguin Texas. The view from this location is spectacular – what a great place in which to worship our God! 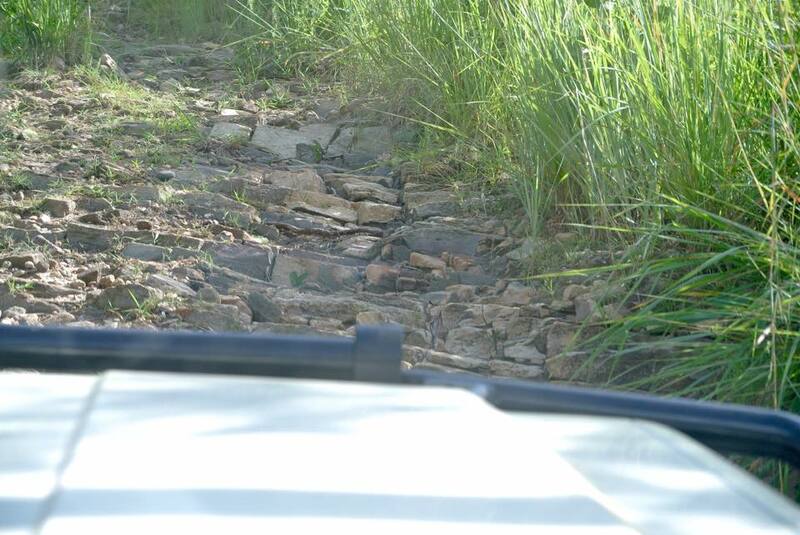 From there we drove as far as the Land Cruiser could take us (where the path narrowed and ascended to the village of Oyo) and “footed” the rest of the way. In Oyo we spent some time checking out a tukalu which Sam, the one who is moving there to shepherd new believers, wanted to rent. 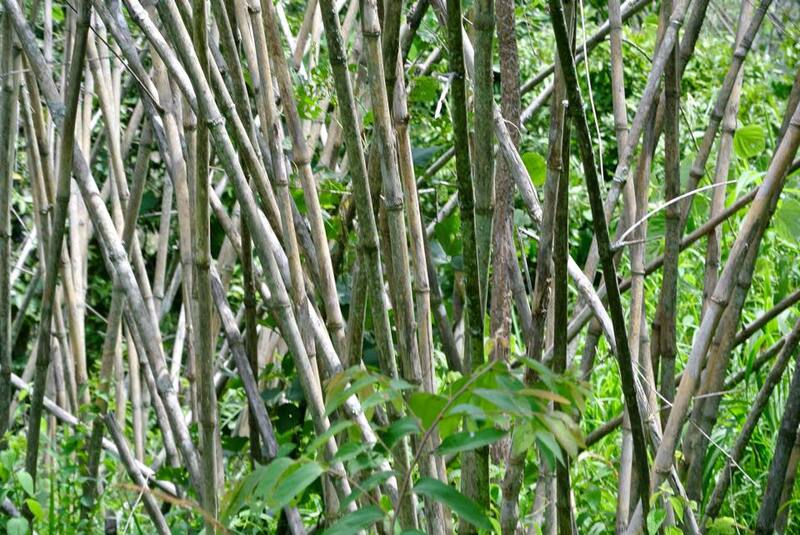 Little did we know that this tukalu, which was reported to be “just a short way beyond” Oyo, would turn out to be a good little hike in itself! 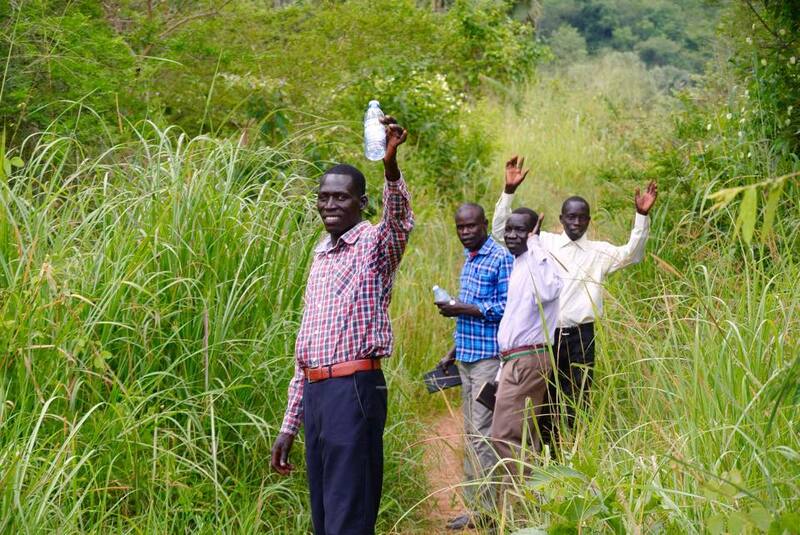 As much as our bodies complained about the extra walking, it gave us a real picture of and feel for what it will cost these men from Ayaa Baptist to take the gospel to and disciple the believers in Oyo. 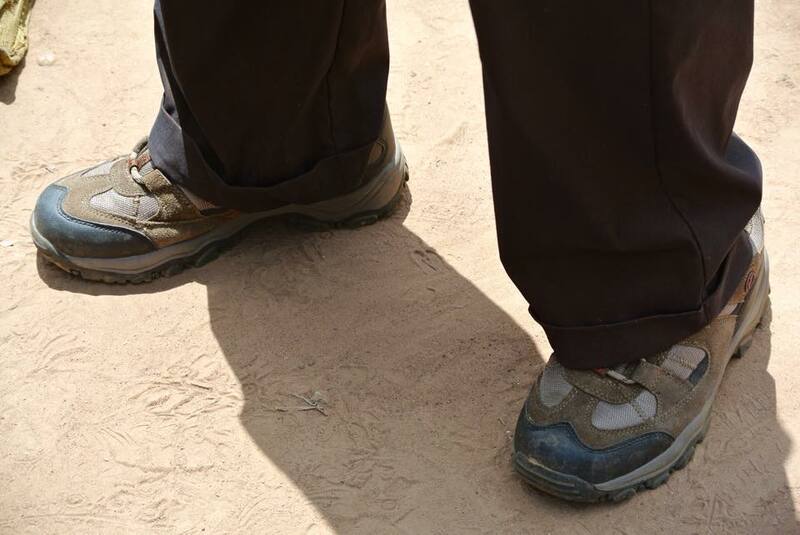 These are the men for whom we brought “Gospel shoes” (some very sturdy hiking shoes) to make their trekking a little more comfortable. 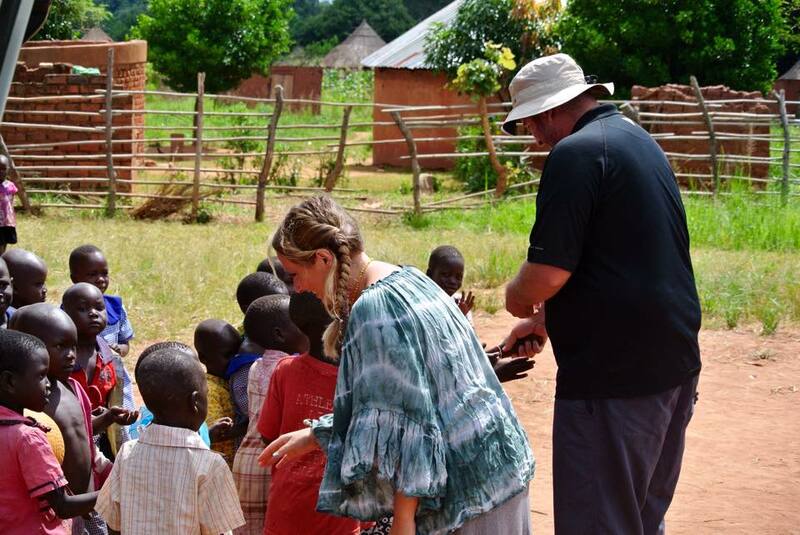 After Jacob, Preston and Laurel shared some words of encouragement with the men, women and children who had gathered, we ate a meal together and then handed out de-worming tabs and malaria treatment for the children. 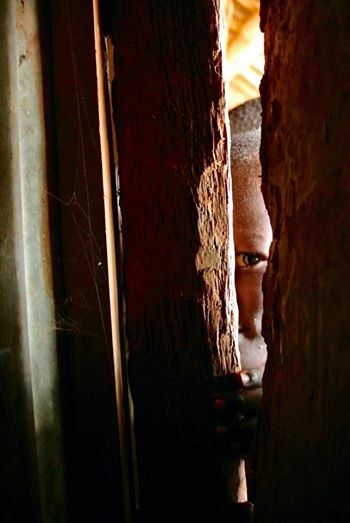 You can imagine the suffering of the people in these very remote areas who have little to no access to medical care – preventative or emergent. 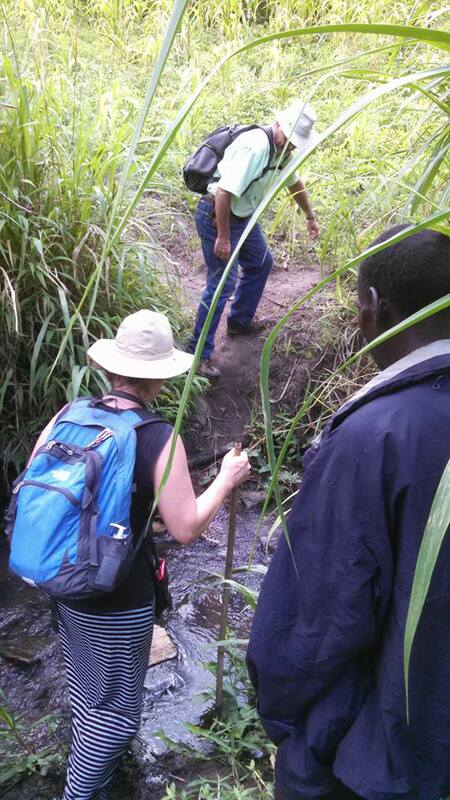 Please pray for these folks who are scattered across distant hills and valleys. 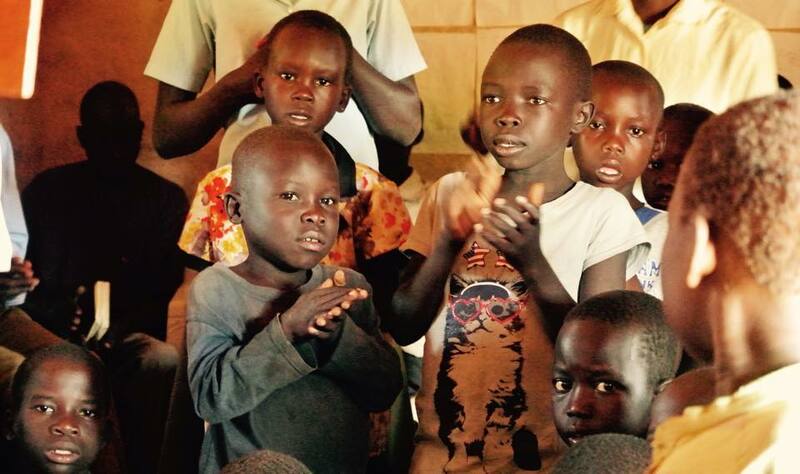 Pray that they will experience the grace and mercy of Jesus through words of truth and deeds of grace. We can leave these hills and valleys, but this is where they live. 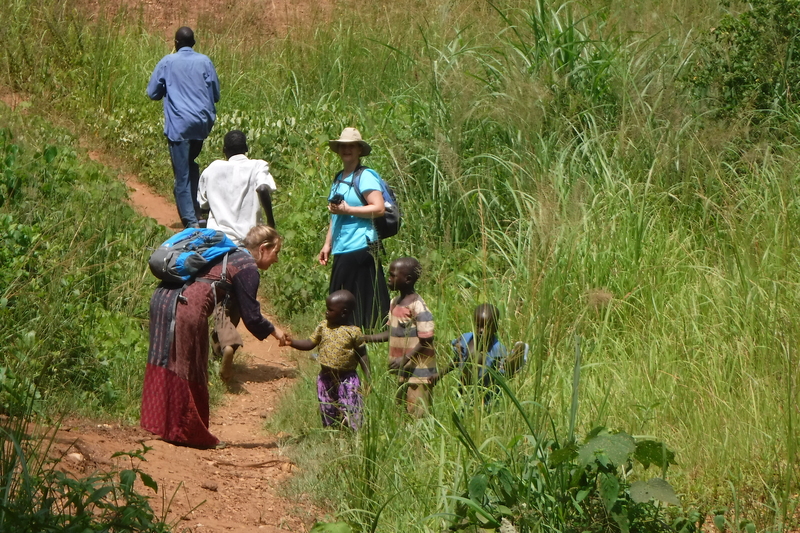 The hike back to the vehicle seemed shorter than the hike to the village (well, it was mostly down hill)! 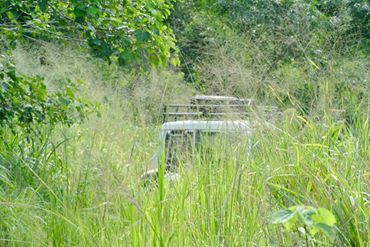 It was a happy sight to spot the Land Cruiser standing out amidst the tall grass. 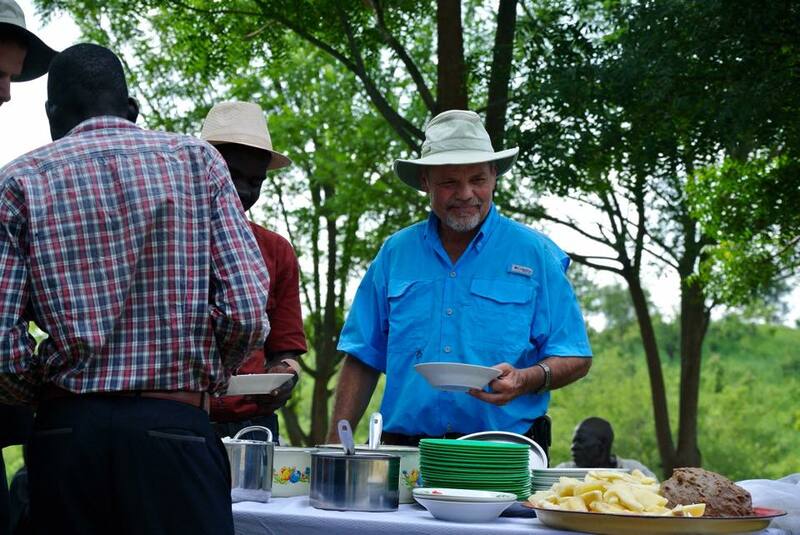 Back in Gbari we met with the believers there – under the trees – for yet another meal which they had graciously prepared for us. After a short greeting and word of encouragement for those gathered we were off again to Metu trading center to drop off the ones we had picked up for the day. Tuesday was set aside to visit the very remote village of Oku. Once again, we picked up Tobias, but this time at his church in Ayaa. 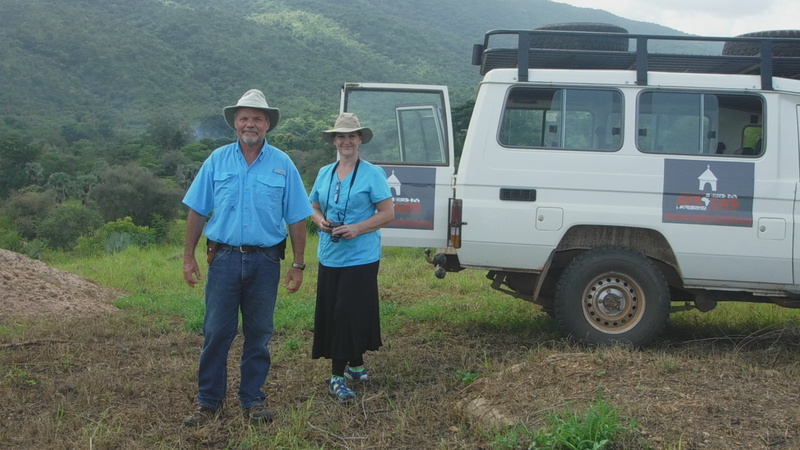 It was an opportunity for Preston and Laurel to take some important pictures and videos which highlight the specific needs of Ayaa Baptist church for which they hope to raise interest and funds back home. 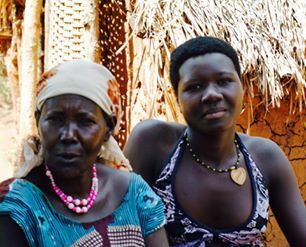 We had no sooner SAFELY arrived at Chinye when someone from that village stated that he wanted to become a follower of Jesus. He had heard the Gospel on a previous visit and wanted to make a profession of faith. It was a joy and privilege for Pastor Pasquino to pray with him right then and there! 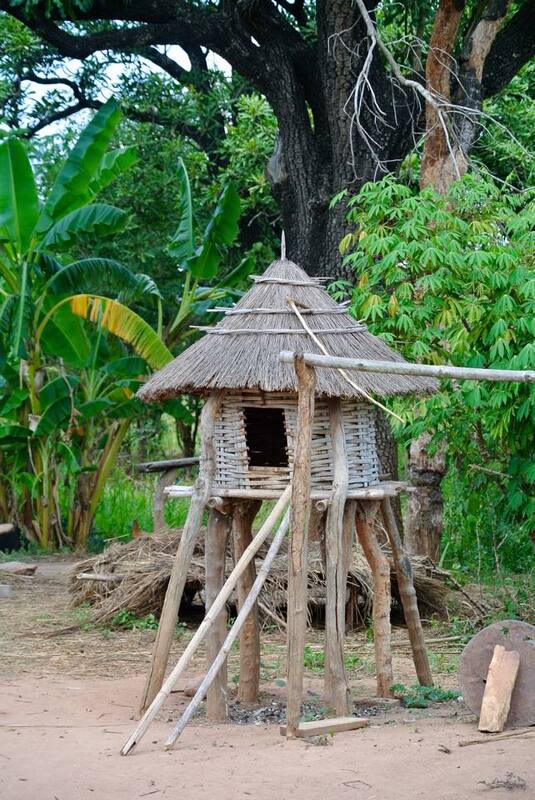 Chicken coops…up high to keep them away from predators. 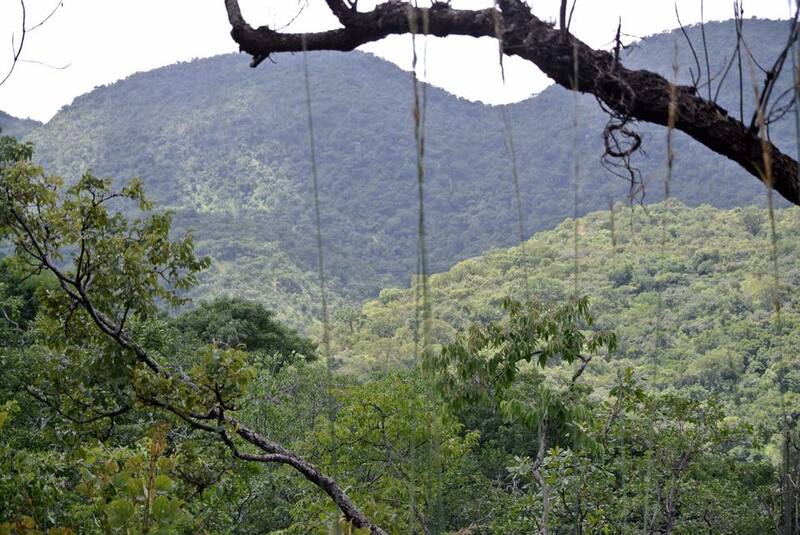 From the beautiful plateau of Chinye we began our descent into the valley – on foot. 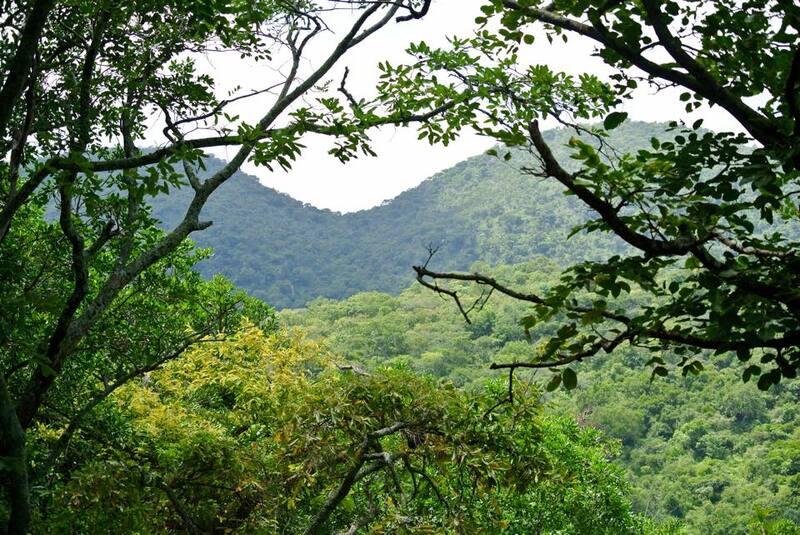 There were several villages there which had been visited before, but our final goal was to reach Oku. 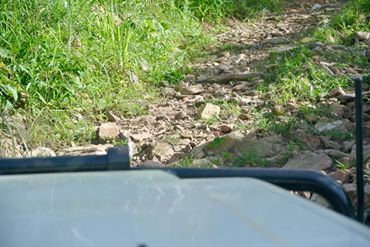 It was a challenging descent for our legs (especially for Preston, Laurel and me) – we had to have mountain-goat reactions to the rocky slopes. One misstep on loose rocks and we might have been tumbling down the deep valley to our right. At the same time, it was a breathtaking view and these “photographer eyes” of mine couldn’t help but stop every couple of yards to snap another photo. It’s a good thing no one was following too closely behind me or it might have meant a quick trip to the bottom for both of us with my sudden stops and starts to get the perfect shot! Once at the bottom we still had a ways to go to reach Oku and we passed through several clusters of tukalus before arriving there. 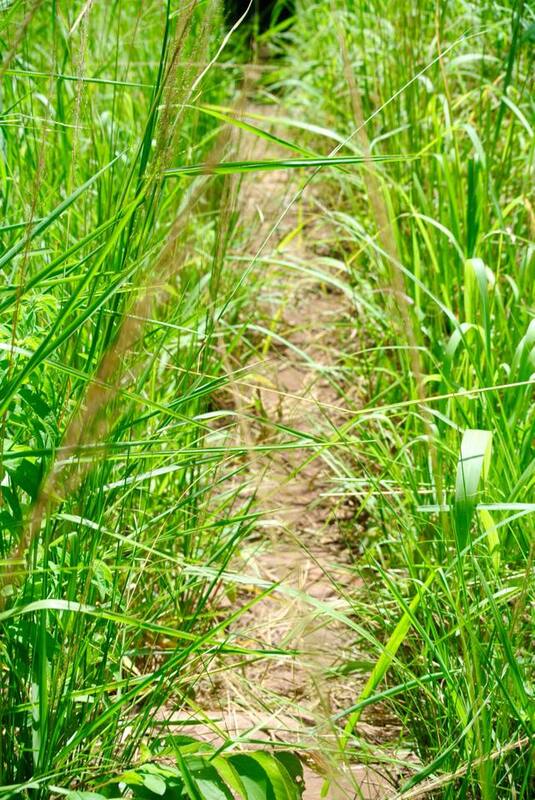 The path was narrow and the grass was close and tall. 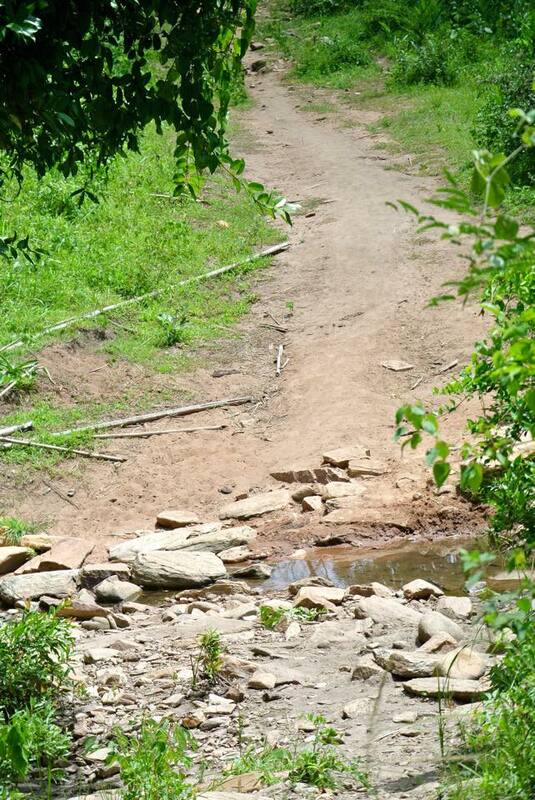 It was not lost on us that these paths had perfect hiding places for snakes and other critters. 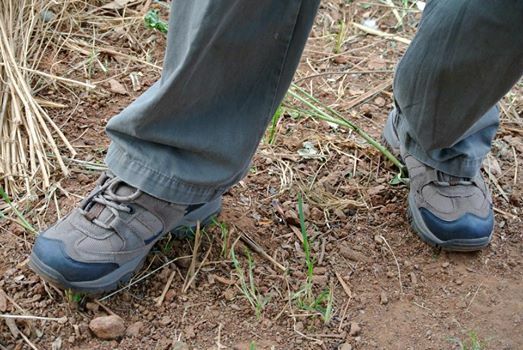 To keep on walking meant subduing fears of the potential dangers. 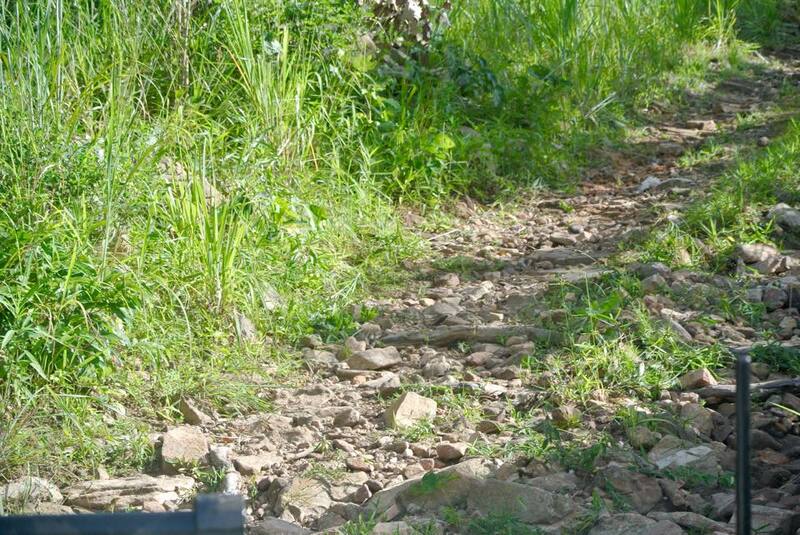 Somehow, on the way back, I was “leading the pack” and I did see a snake a few feet ahead of me. I couldn’t get my camera out fast enough. It slithered very quickly into the grass, but it also reinforced the very real nature of our fears. 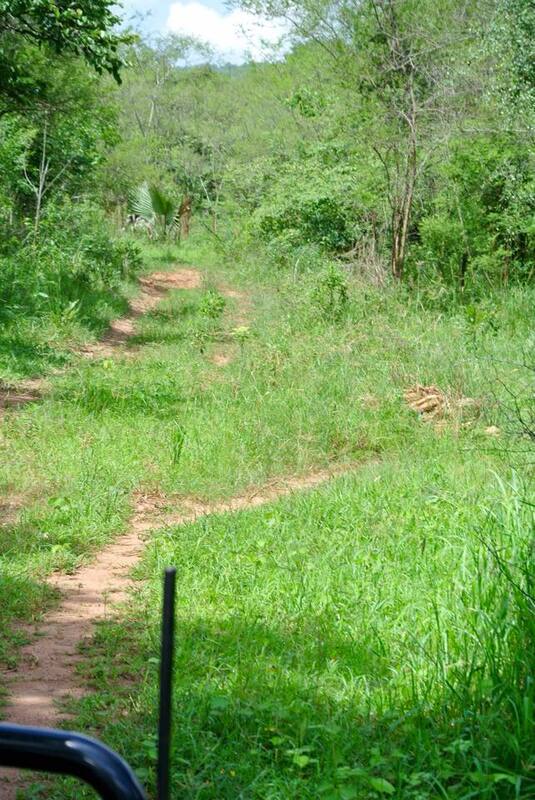 One of the paths…trying to keep our imaginations in check! Reaching Oku was a solemn ending to our hike. 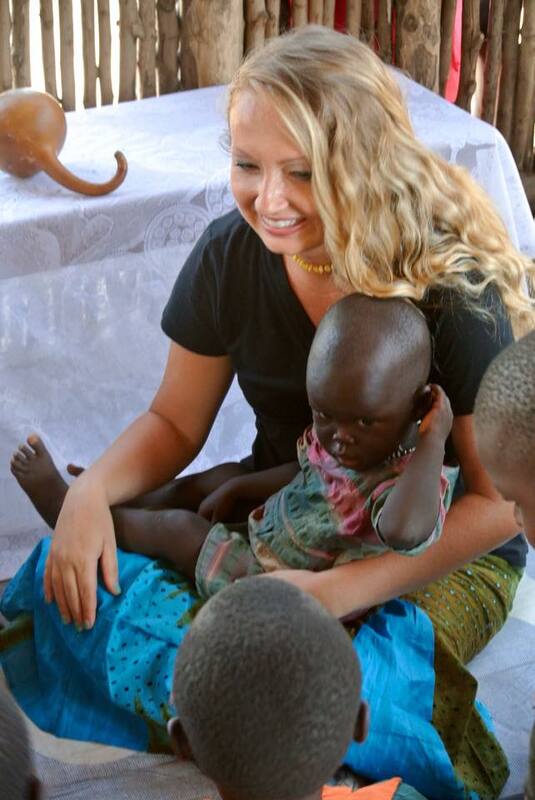 We had found that, that day, a couple had lost their infant child to the very treatable malaria or some other illness. 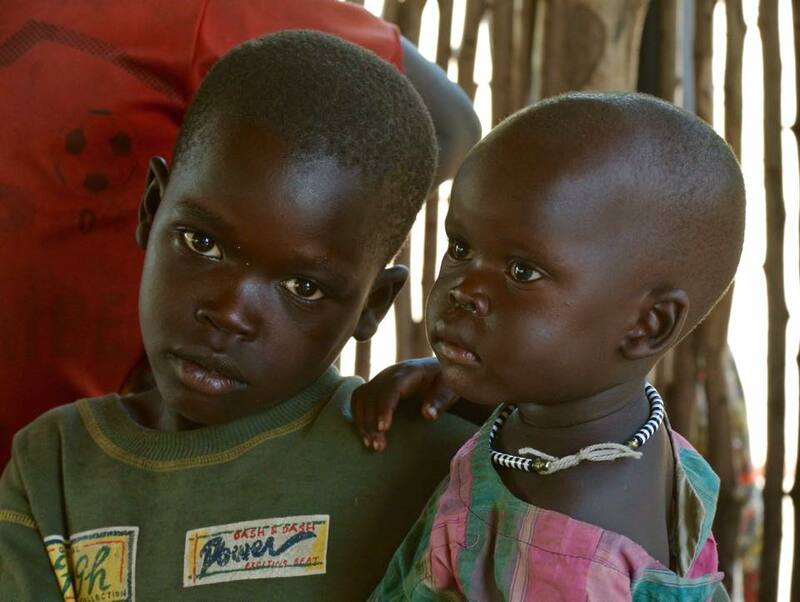 They weren’t even sure from which illness because they live too far away from a clinic. 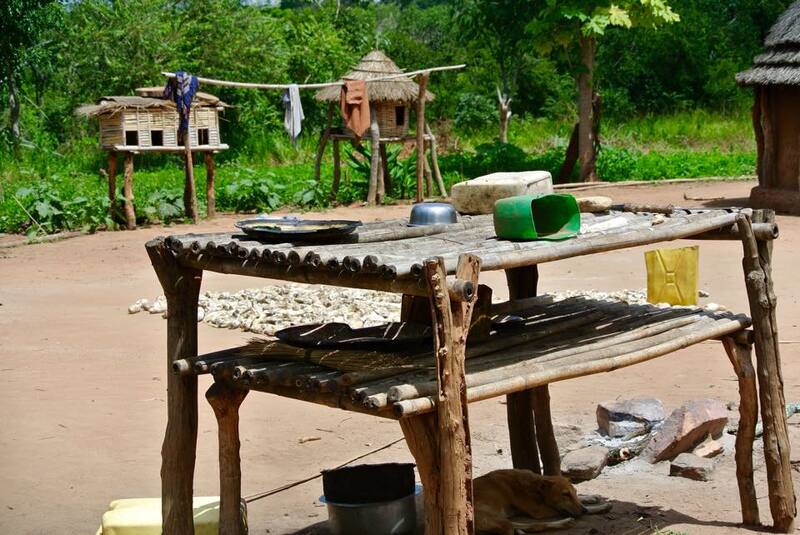 As we walked into Oku we could see them building a rough, simple and small casket. 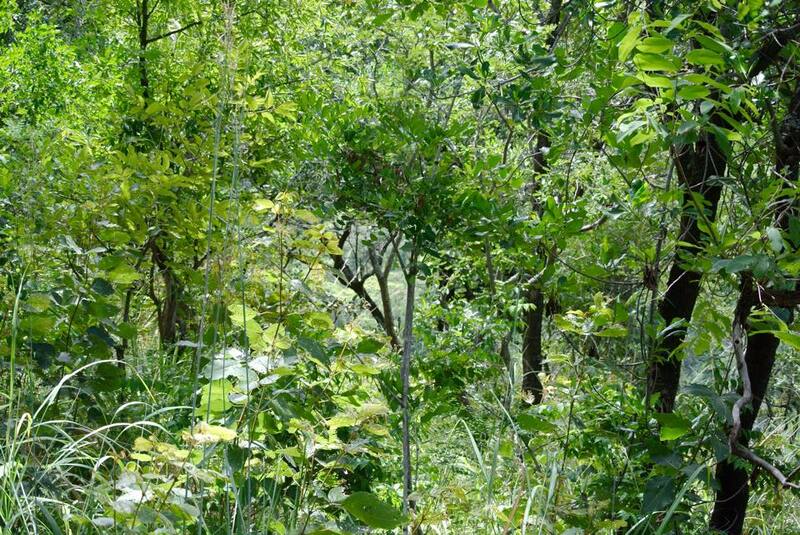 The hole had already been dug in the ground near the parent’s tukalu. Jacob used this opportunity to share their sadness and urge them to find hope in the Savior, Jesus, and to think about the brevity and uncertainty of life as the backdrop against which hope in Jesus appears most beautiful. Several raised their hands indicating a desire to be Jesus followers. Preston and Laurel, once again, had the opportunity to hand out some kick balls to the children in the village which brought broad smiles. And, of course, we didn’t leave without handing out de-worming tabs and malaria treatment. 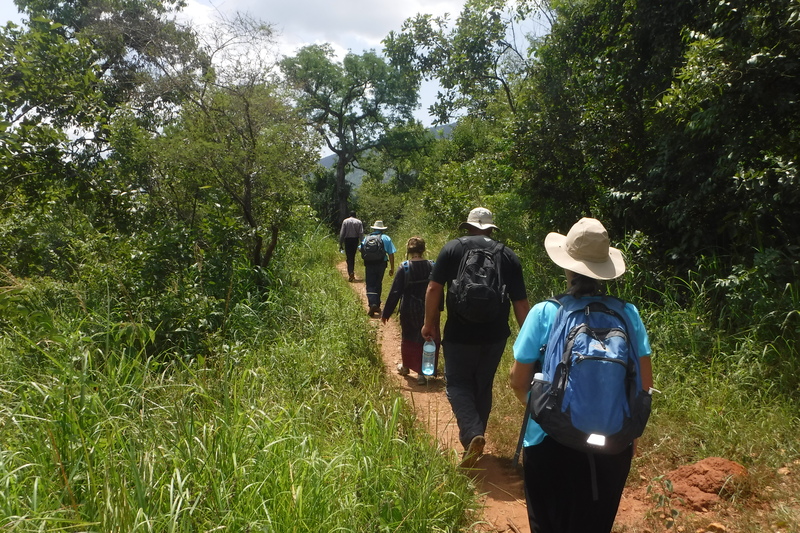 Being hot, tired, thirsty and hungry were prompters to gratefulness for the men who have made a commitment and priority to trek to these remote places to ensure that professions of faith are not mere tallies of numbers, but souls in need of care. 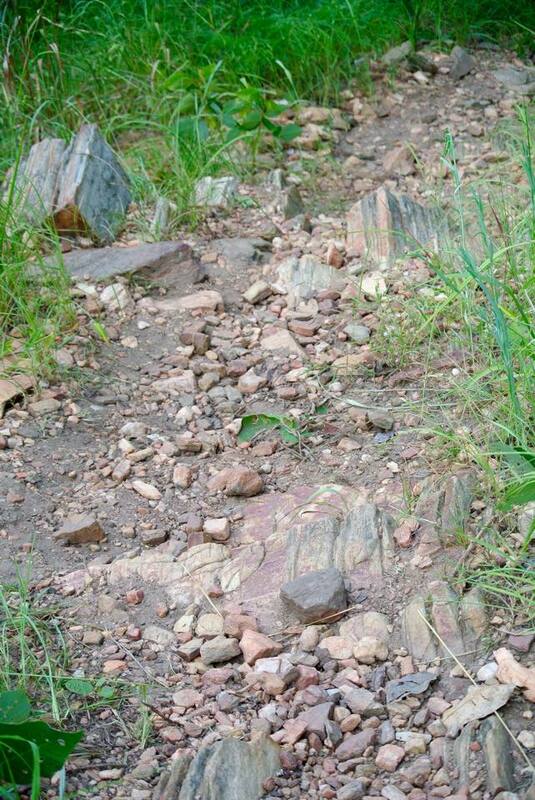 As I stated previously, Jacob was not exaggerating the difficult task of climbing back up the mountain. The men with whom we had come and who seemed to be able to climb the steep paths without producing a sweat or labored breathing, were gracious to us – slowing their pace to make sure we were not left behind or unable to manage a particularly steep and rocky pass, carrying our packs and encouraging us. We stopped frequently to catch our breath which seemed harder to find than strength in our legs. I have never been happier to see the top of a tukalu than on that day, indicating that we had reached the top of the climb and would, from there on out, rely on a machine to carry us the rest of the way up the mountain. 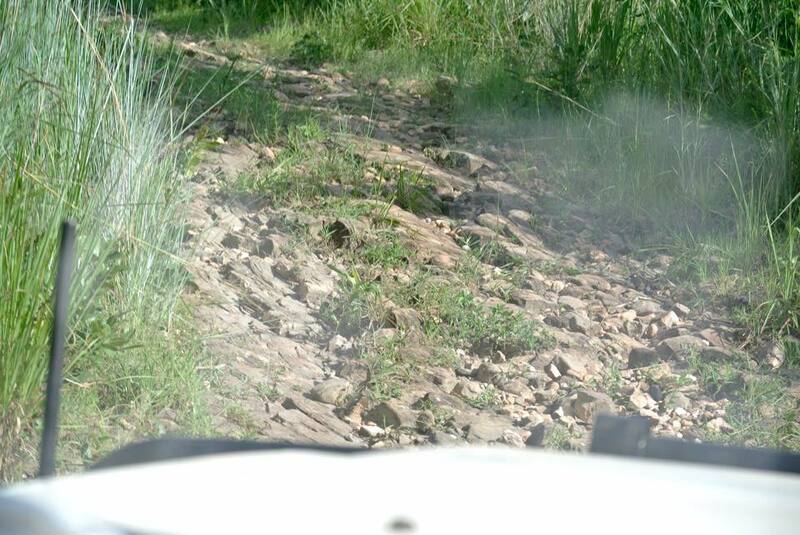 The Land Cruiser did incredibly well, proving itself to be a “tank” as it met and mastered the challenge of the steep, rocky climb. There were some pretty desperate prayers and white knuckles as we “empathized” with the strain on the vehicle – but “old Bessie” held up! Friday, July 10th, we headed to Obongi to visit Godfrey, Bosco, Aliga and our brothers and sisters at Obongi Town Church. It was also Jacob’s and my 34th wedding anniversary – what a way to celebrate! The first thing we did was to visit the piece of land that was exchanged for the previous one which had given us much trouble. This piece was agreed upon by everyone and will, by God’s grace, provide a peaceful way forward. It is almost 3 times larger and will allow for more development in time. Back at the church we enjoyed some energetic songs of worship, led by a local policeman (OC = Officer in Charge) who worships with Godfrey. 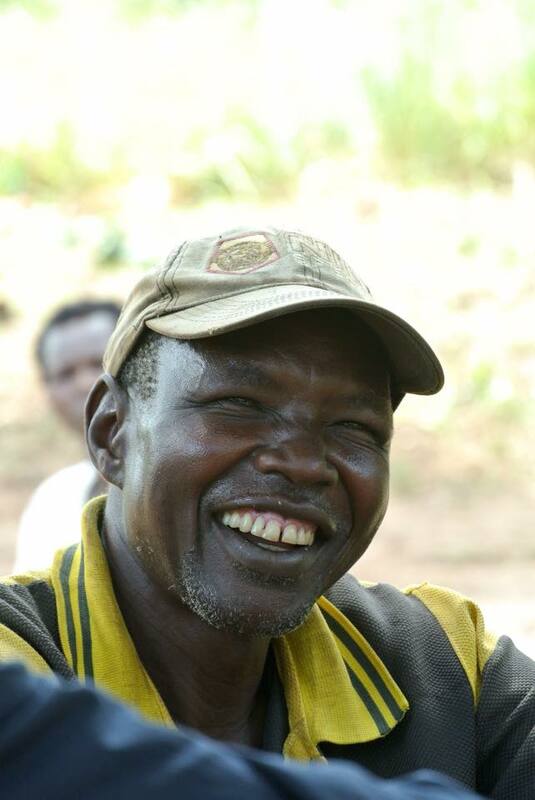 He is from the Alur tribe but has been stationed in Obongi. 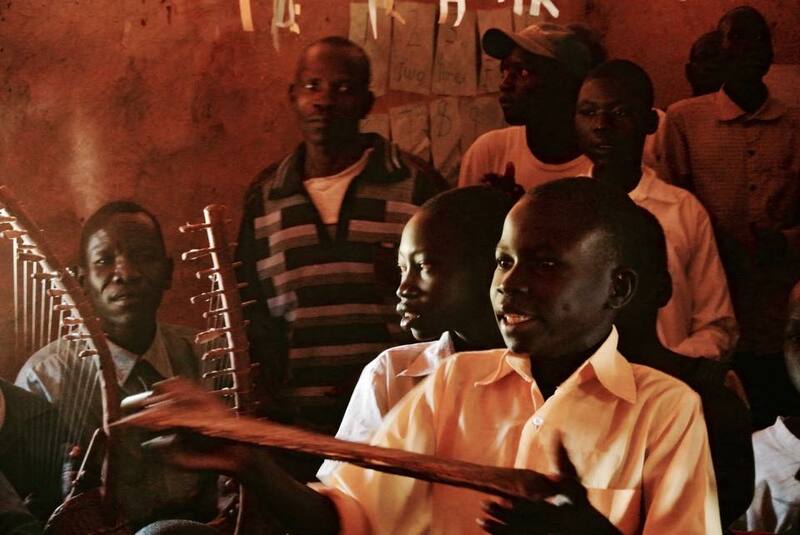 It was joy to hear yet another unfamiliar chain of meaningful sounds which is called language and to hear it in song – and accompanied by dance! Words of encouragement were shared. 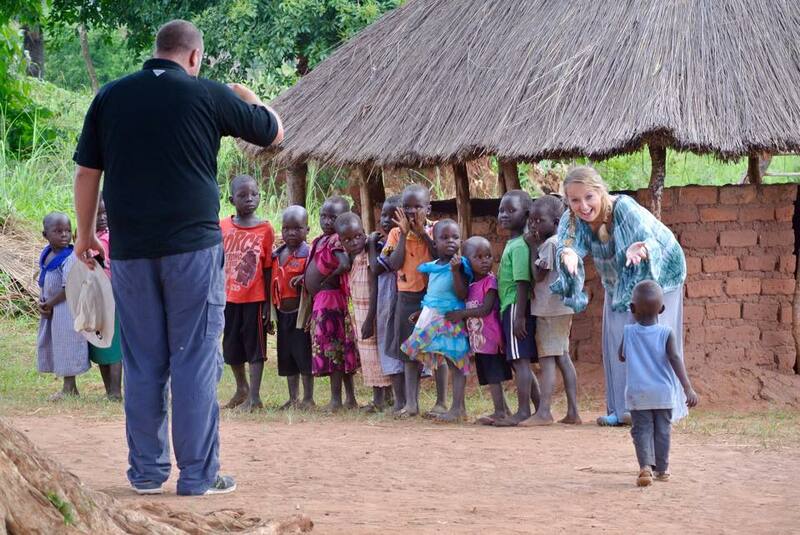 Preston and Laurel (as usual) found their way into the children’s hearts with pictures and games. 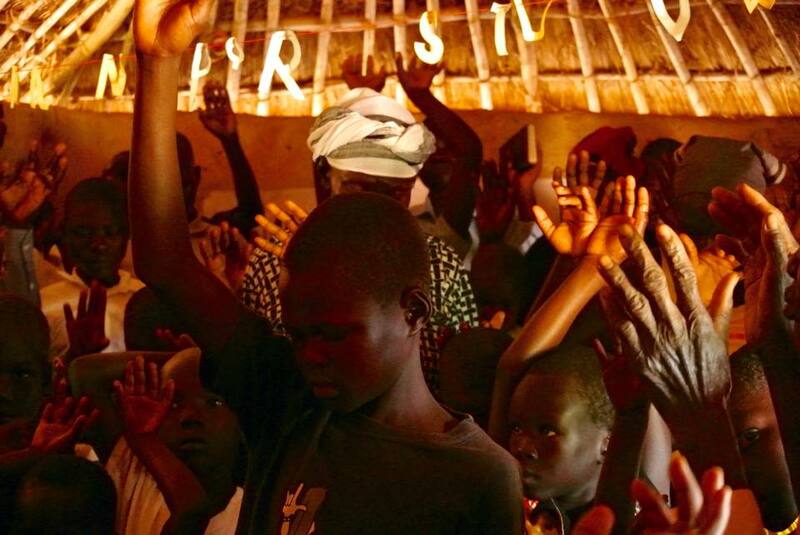 Please pray for Godfrey and Obongi Town Church as it shines its light in a dark place. Pray that a branch of the Hall of Tyrannus could go up soon so that the church of Obongi can have a place in which to worship and grow. Prize-winning smile and one of the sweetest faces ever! Kids will be kids…no matter what…no matter where! On Saturday, the 11th, Preston and Laurel’s last full day, Zakeo, one of the men who works with us here at RAU, took the two of them to his church to meet with their children’s choir. They also went to Afoji market where they talked to some of the people gathered there. As I sit here LOOKING BACK on our time with Preston and Laurel it is with such mixed emotions. 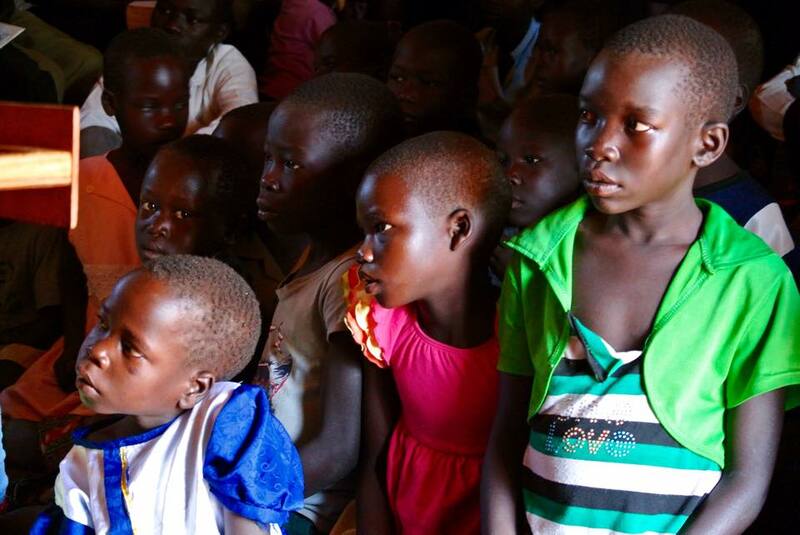 We took them to Arua on Sunday to catch a connecting flight to Entebbe for their trip home. Laughing, working and playing and praying together make up the flavor of our memories. Being back here at the Guesthouse without them leaves us feeling rather sad, missing the laughter and the comradery of a common Savior, a common love and common goals. 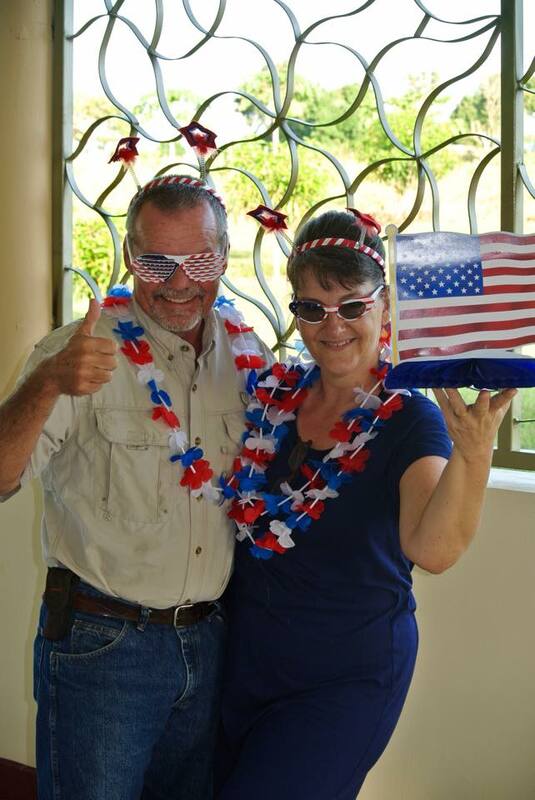 Preston and Laurel, we are rich for having experienced life together with you! Thank you for making it a priority during your summer off from school to spend some of it with us! 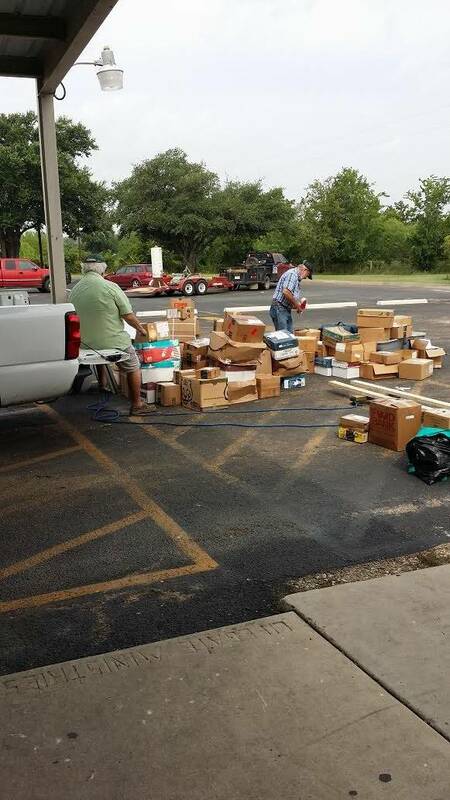 Thank you, Seagrove Baptist Church, for sending them and for supporting us with resources (the Sinks as well as the things you sent along with them)! Looking forward to a busy season ahead is keeping us from wallowing in the “slough of despond” and also reminds us that we are rich, indeed, with many friends whose beauties we also enjoy and appreciate. 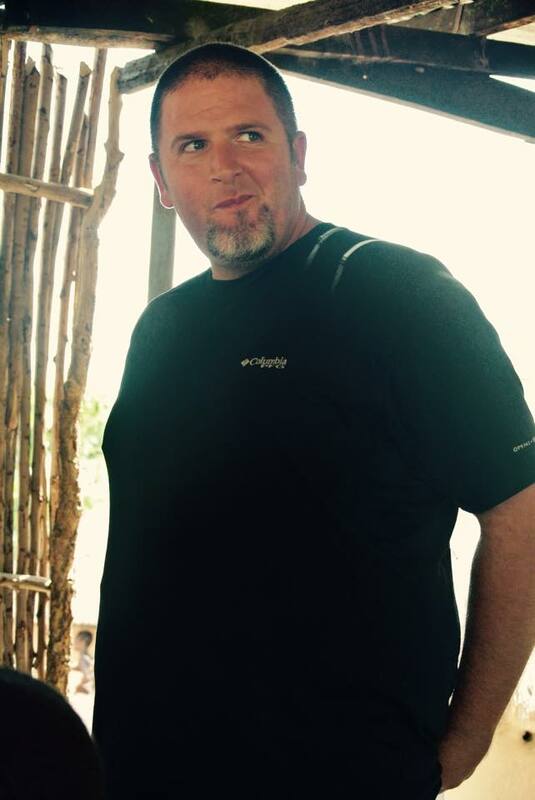 At the beginning of August we will, once again, welcome Ron Zeiner to spend 3 weeks with us. During this time we will have 2 Leadership Retreats at RAU and some opportunities for ministry in between. 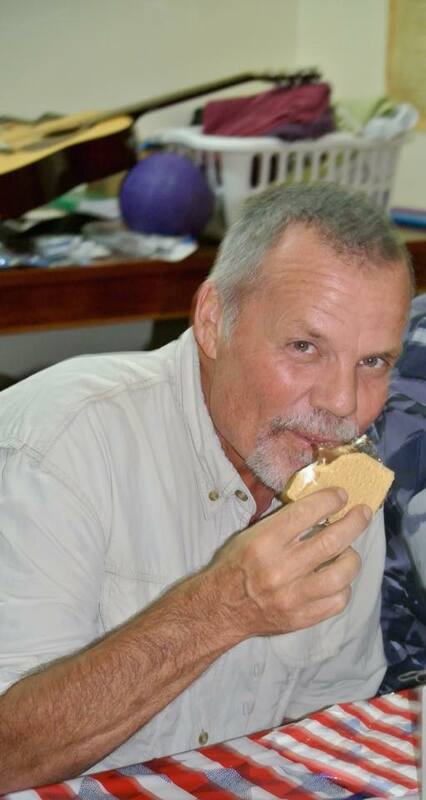 In September, if the Lord graciously allows it, we will also welcome back David Jones, Eric Williams and his wife! Praise God! 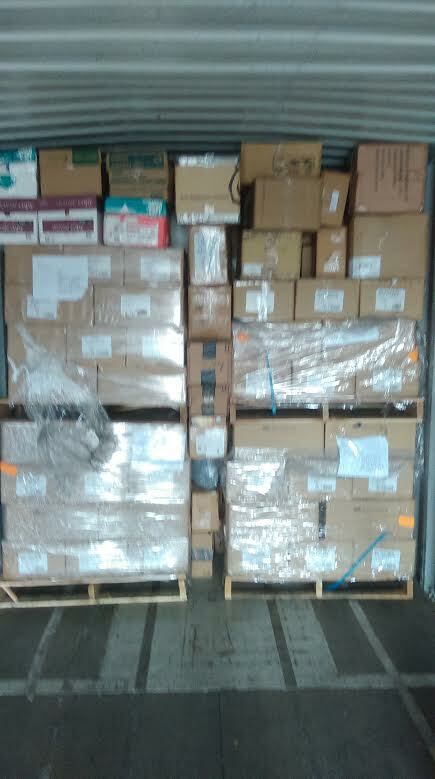 The second container has left for Uganda from Lifegate, our home church, where it was parked and loaded with the precious resources of Bibles, books, fencing materials and other things. 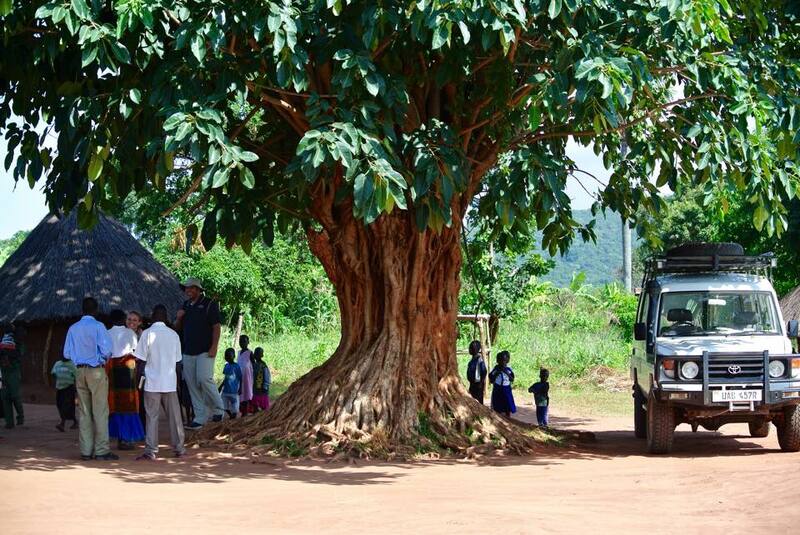 Please pray for its safe arrival here with minimal interruption of its journey at the URA (Ugandan Revenue Authorities). 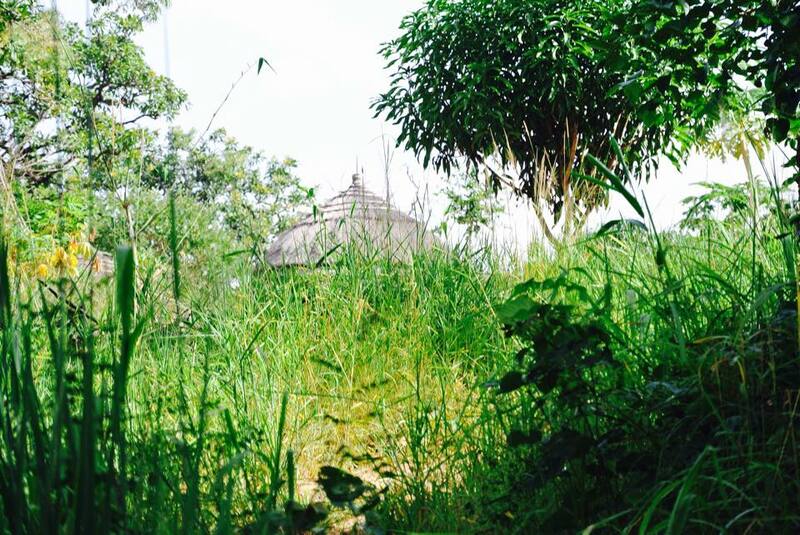 *The Gbari/Arapi church building – construction has started with a toilet and bathing station which can be used during the building process. 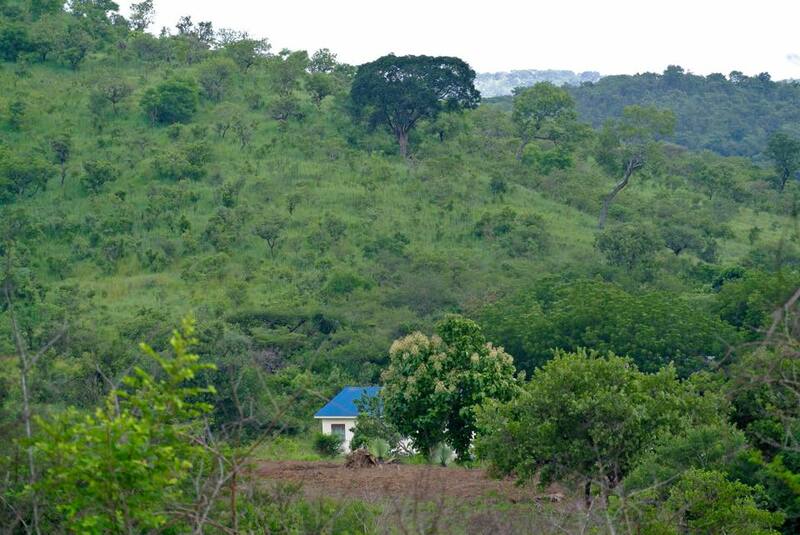 *Obongi Town Church/Land acquisition – we have signed on a swap of land which is larger and in a decent location. Please pray that all the paperwork will be done properly and without loopholes so that building on the land can start. *Bible School – we have talked before about the growing need for a short, intensive training for new potential pastors. 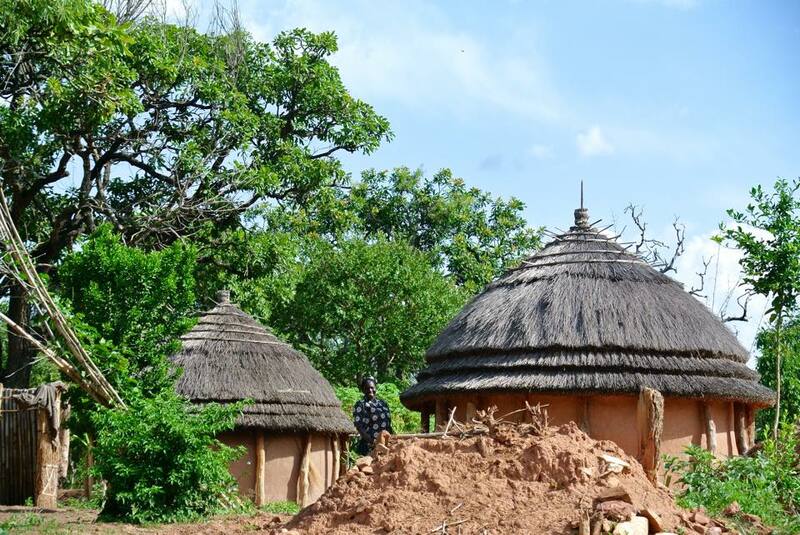 $25,000 is needed to build several classrooms on RAU land. 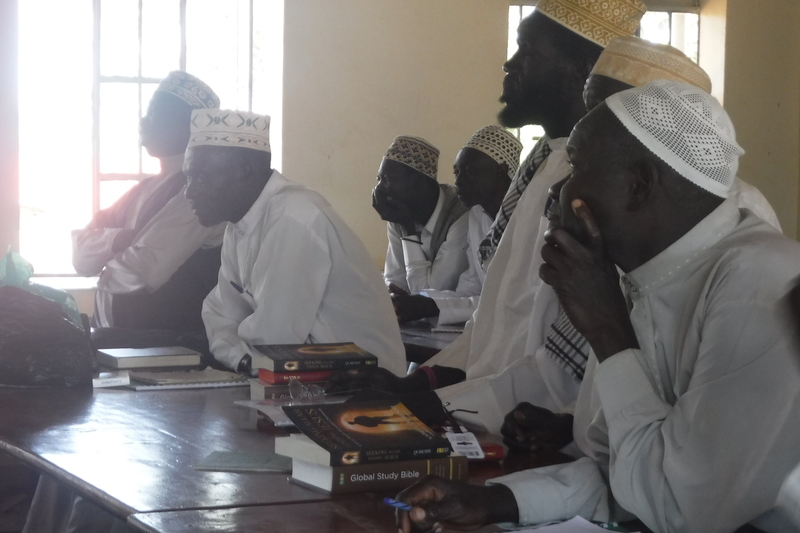 *Further meetings with Yumbe Imams and Sheikhs as well as the many evangelistic efforts we are continually involved in. 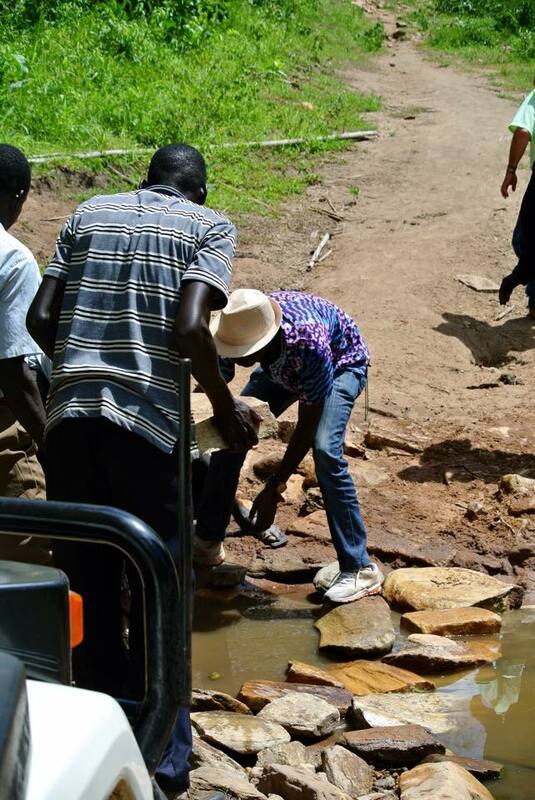 *The Land Cruiser – while we were in Arua we found some brake problems which required parts and repairs. Thankfully, it happened in Arua where a good mechanic and parts were available. Repairs and maintenance are an on-going need. 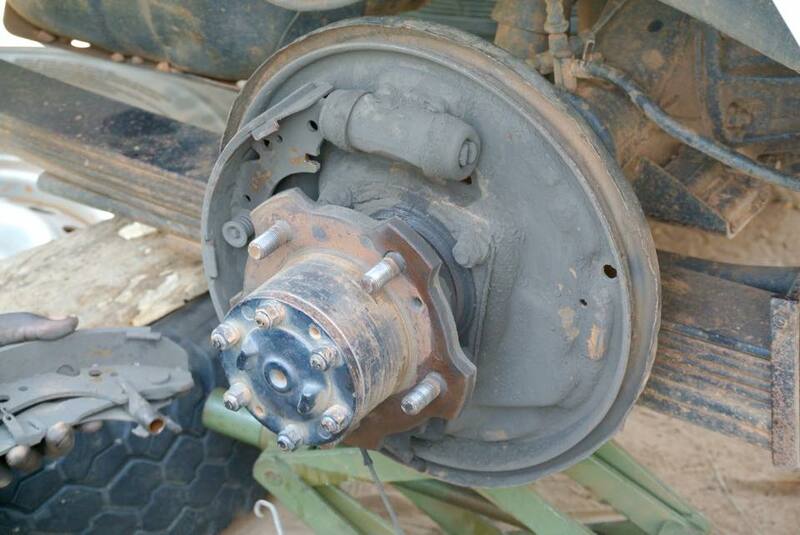 Major brake work in Arua – replacement of shoes and drums.